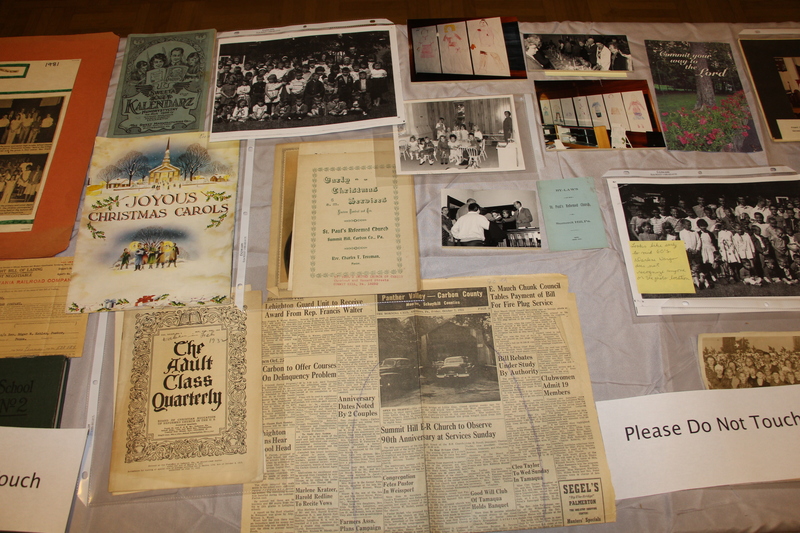 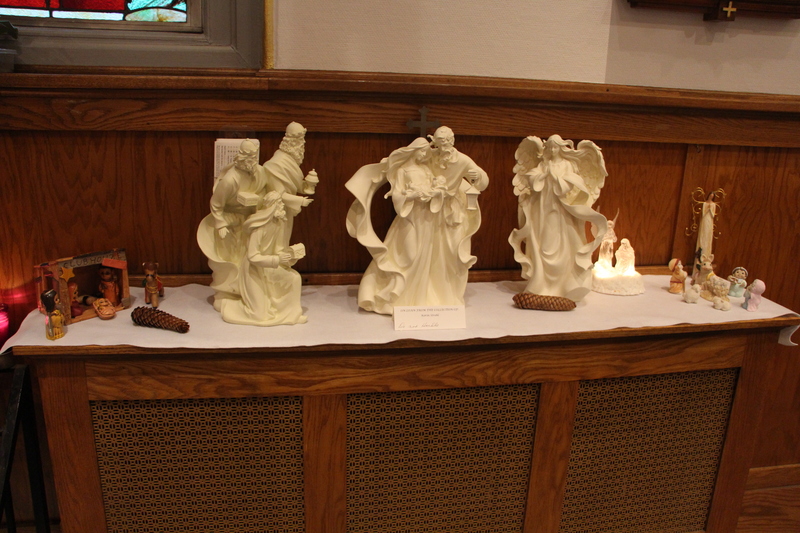 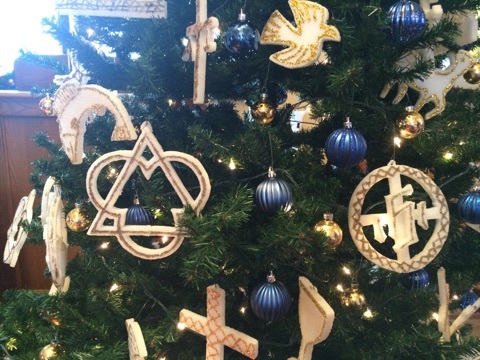 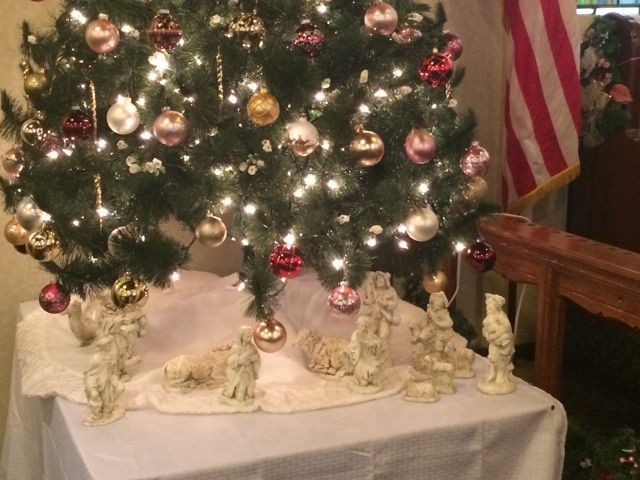 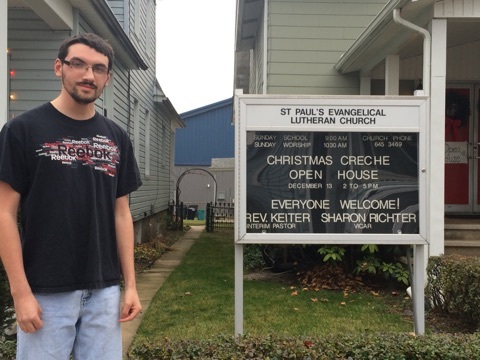 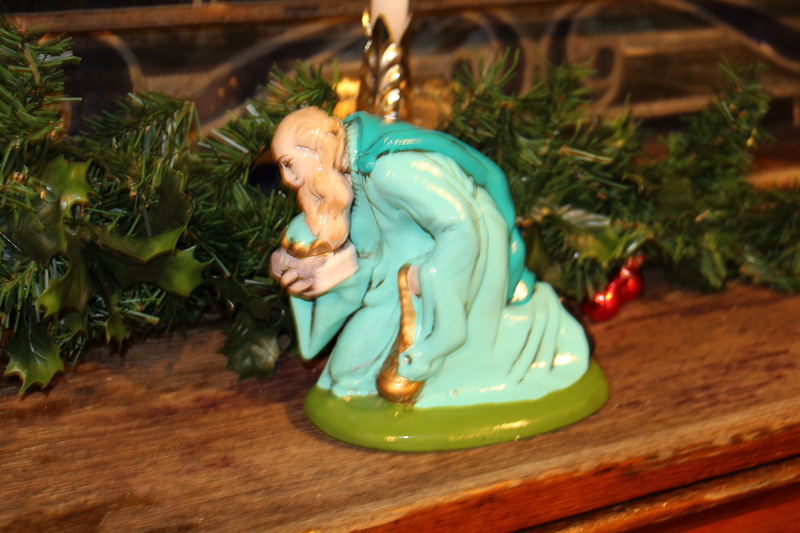 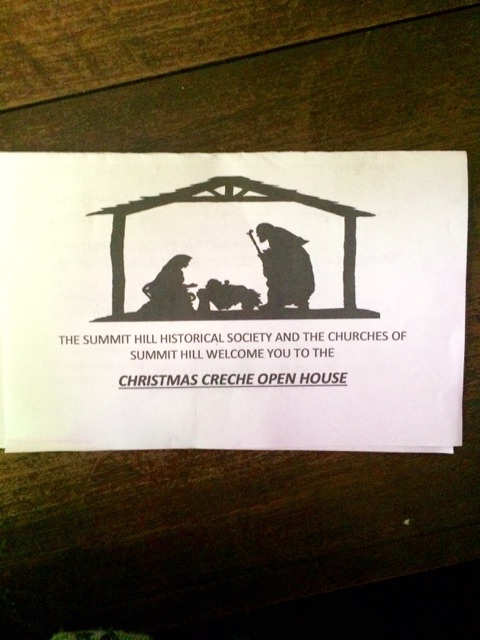 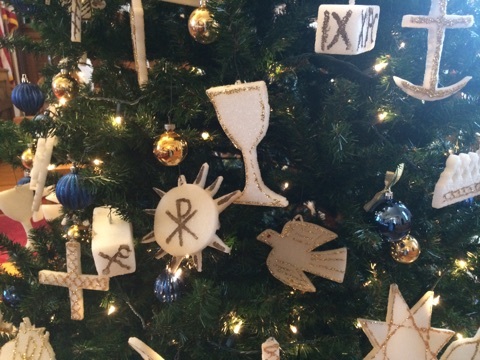 Pictured are photos and videos from the Summit Hill Historical Society’s Christmas Church Open House and Crèche Display event held today throughout Summit Hill. 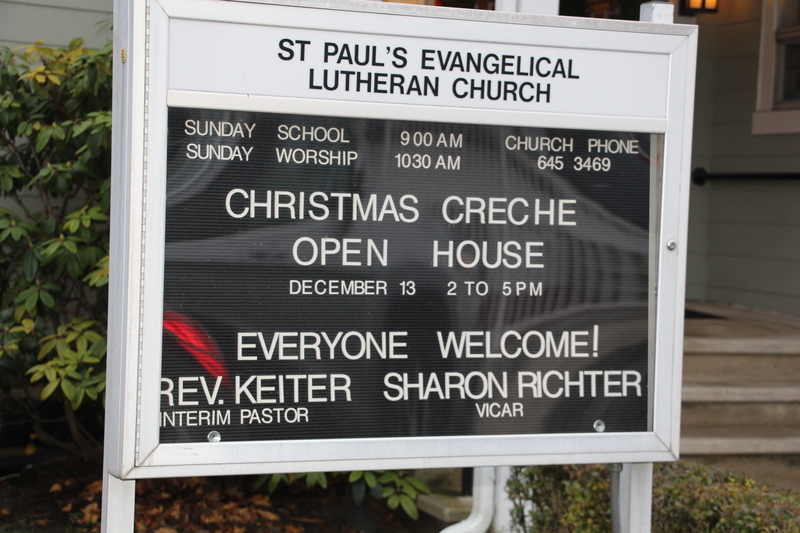 5 churches took part in the event. 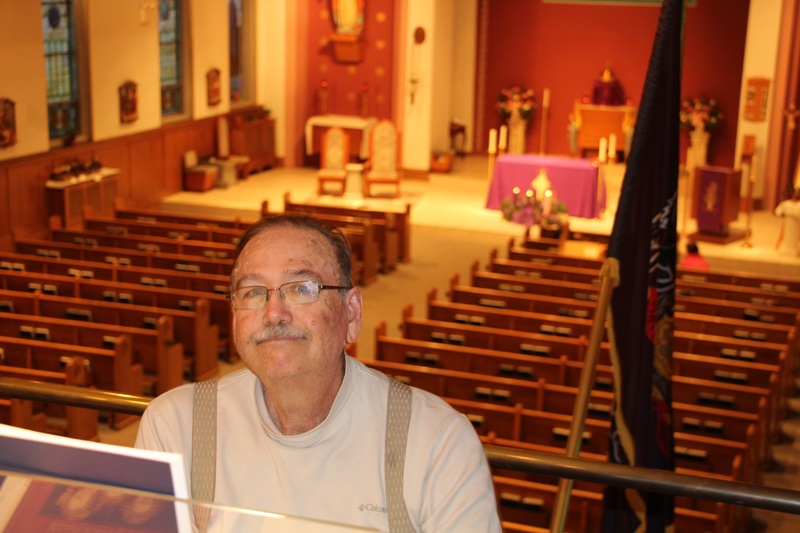 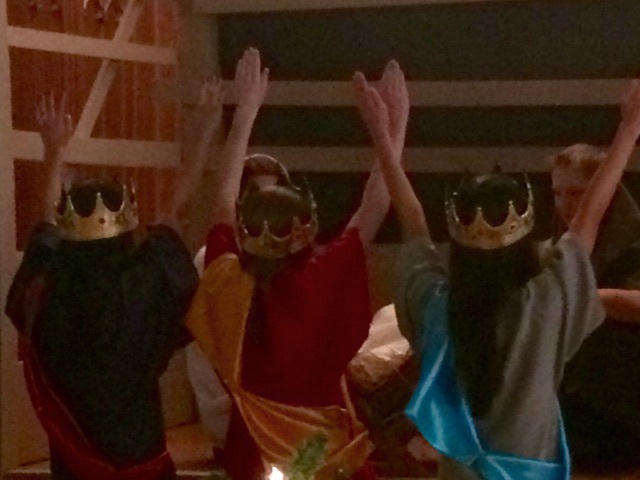 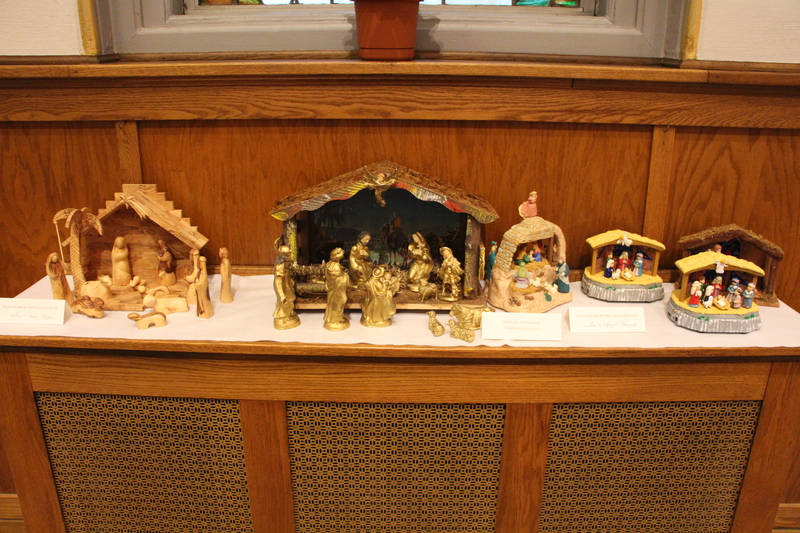 Participating were Church On The Rock at the Summit Hill Heritage Center, St. Joseph Catholic Church, St. Paul’s Lutheran Church, Hope of Christ Presbyterian Church, and Methodist Church. 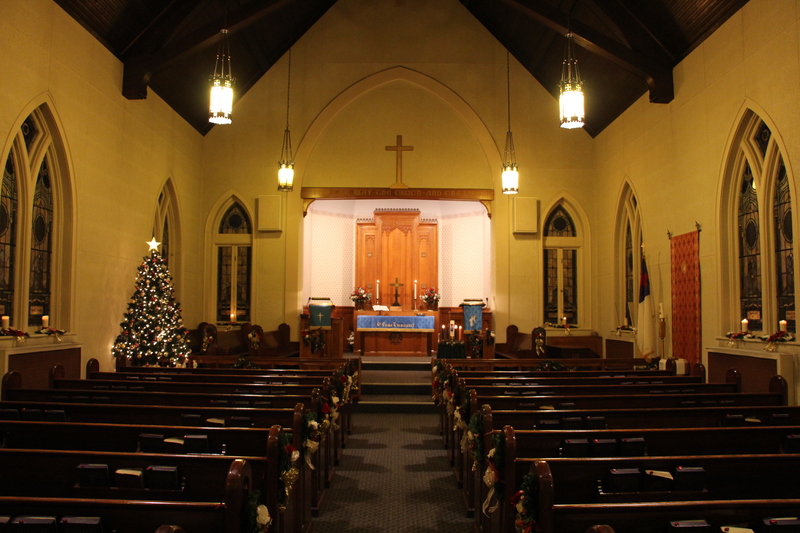 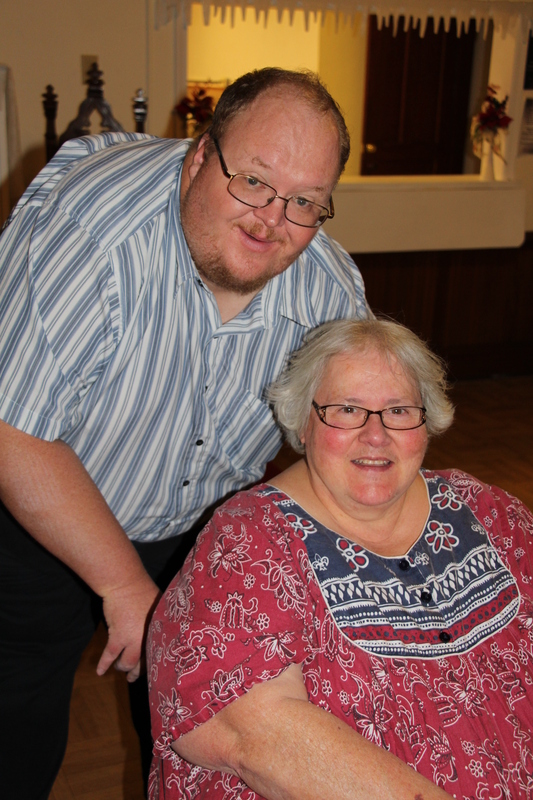 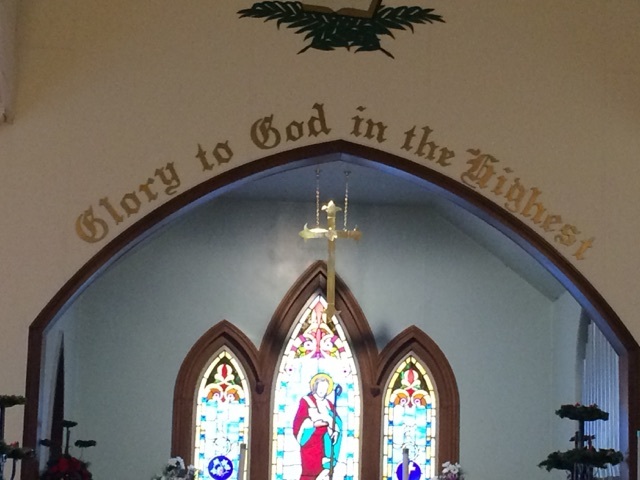 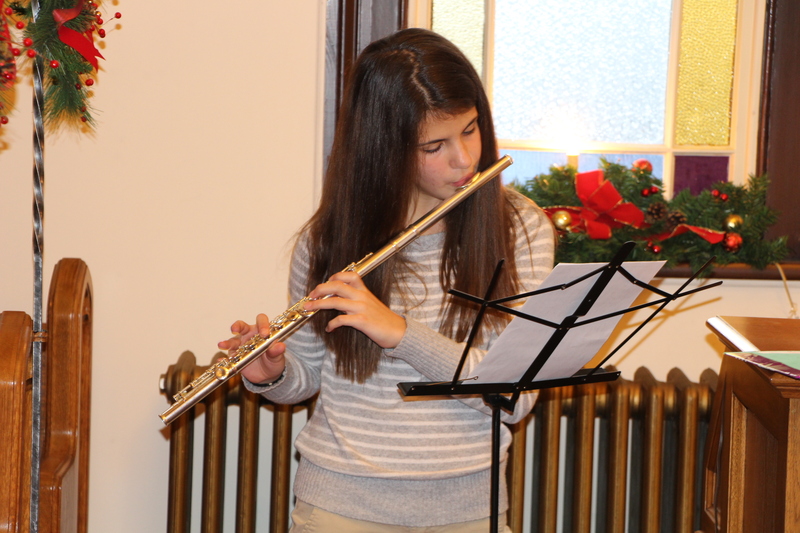 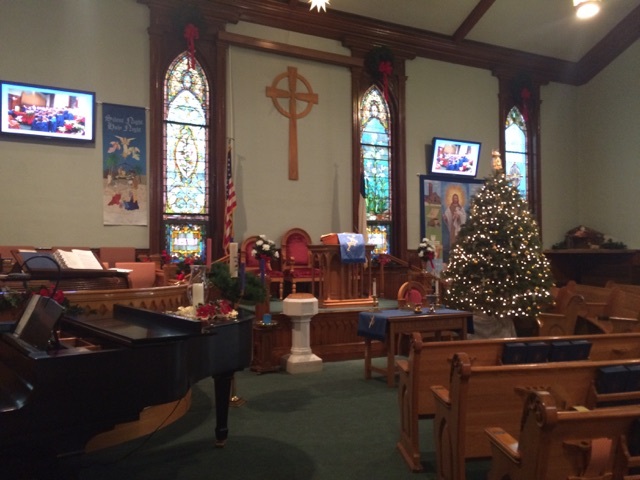 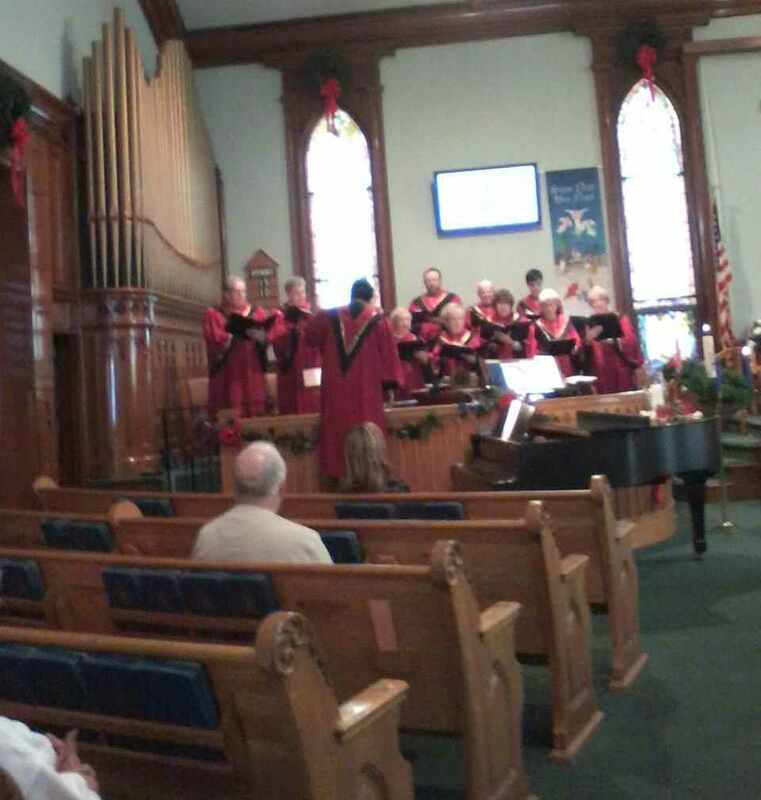 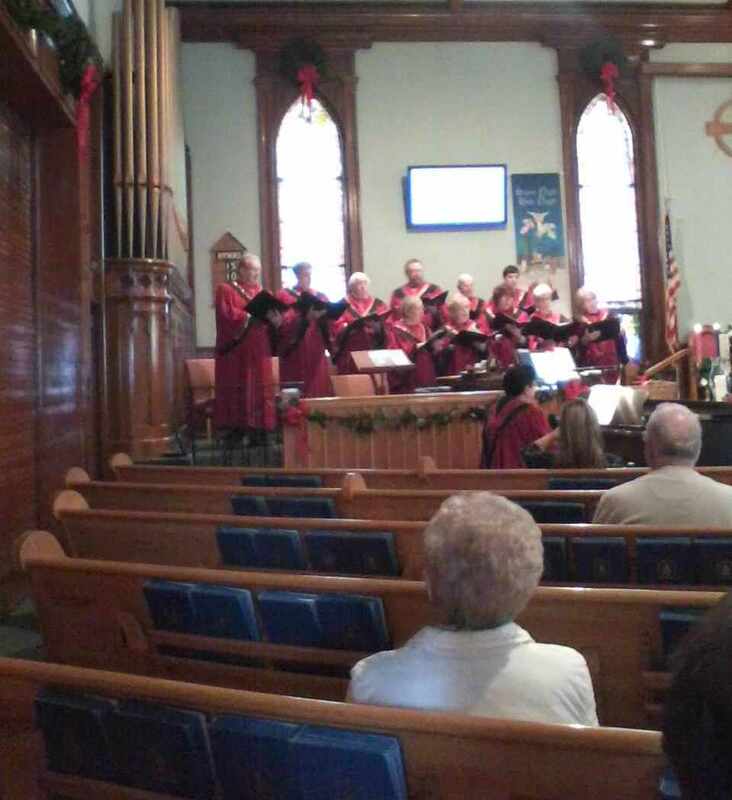 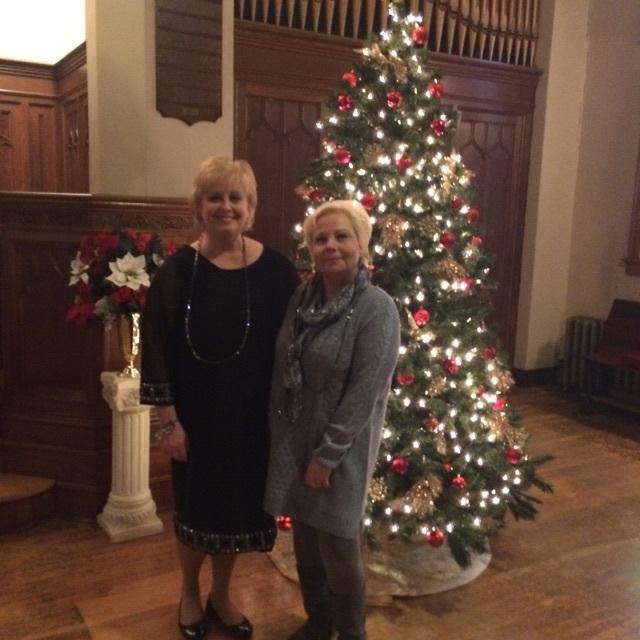 Hope Of Christ Presbyterian Church, 44 West White Street, kicked off the event during their Christmas Choir Concert. 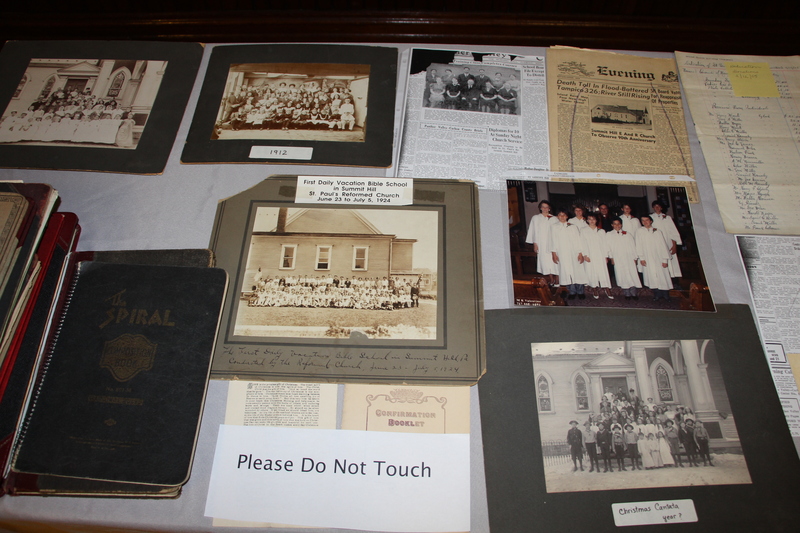 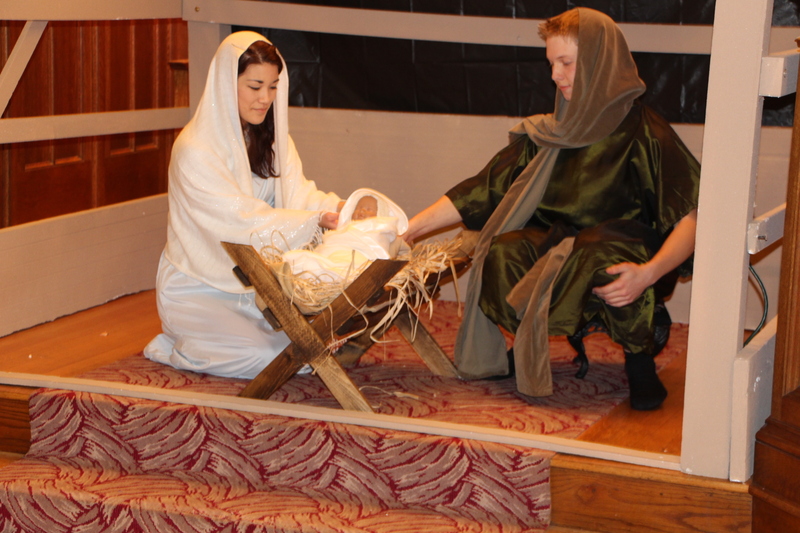 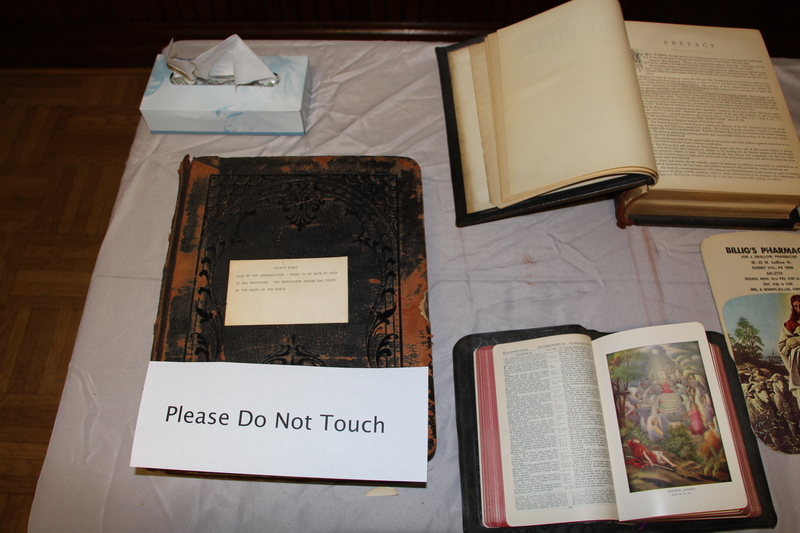 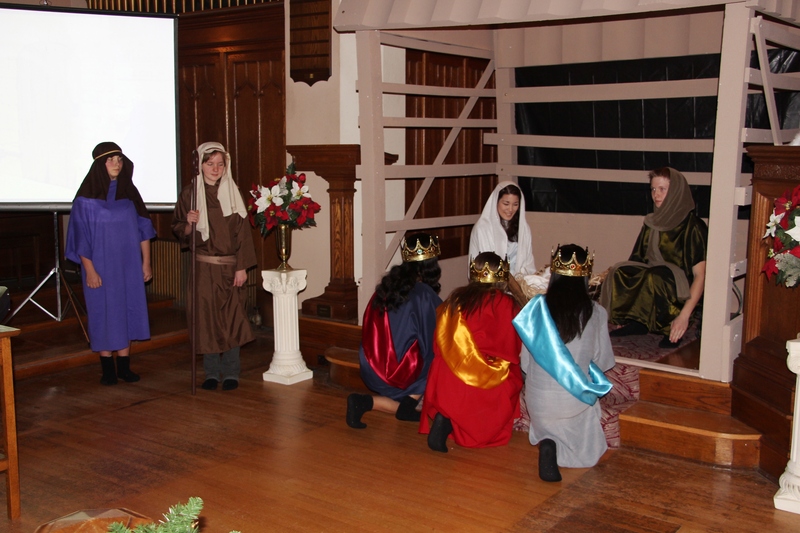 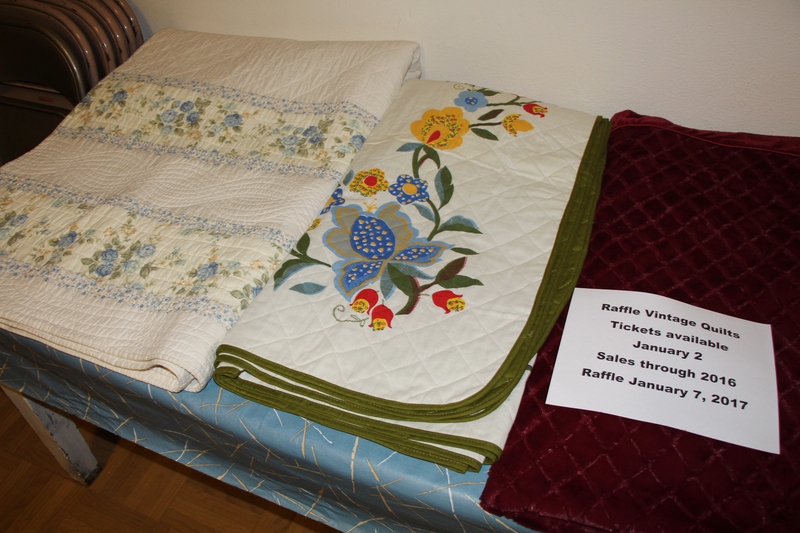 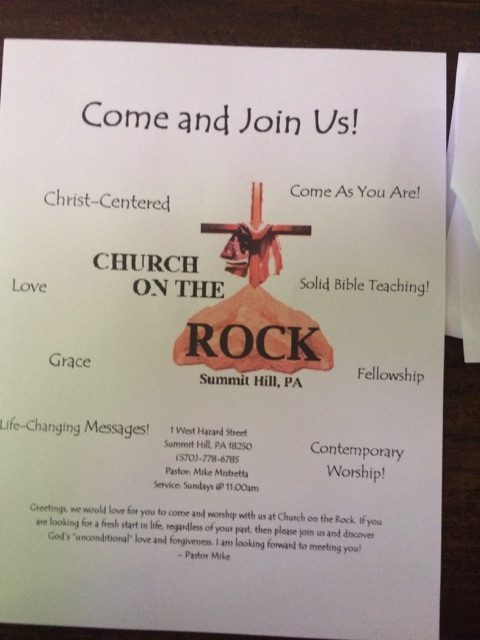 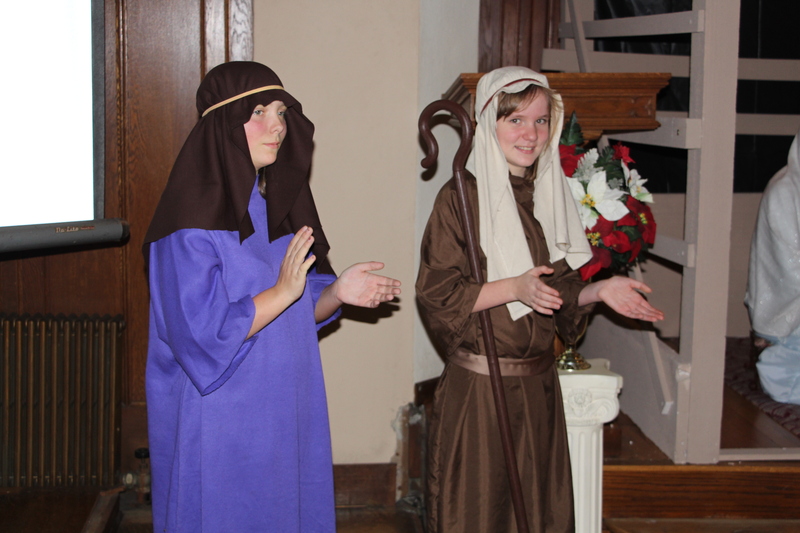 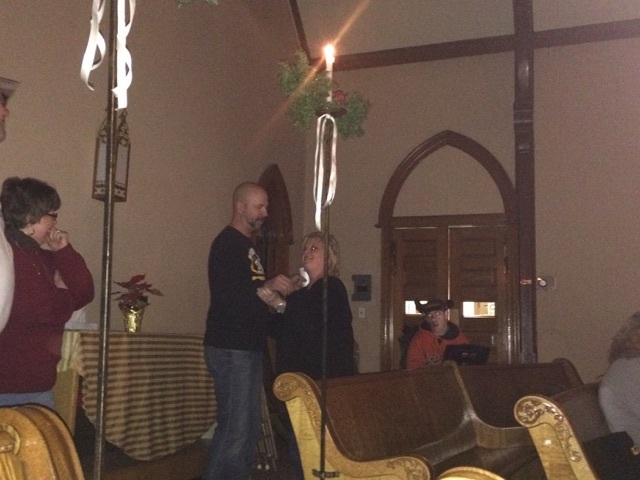 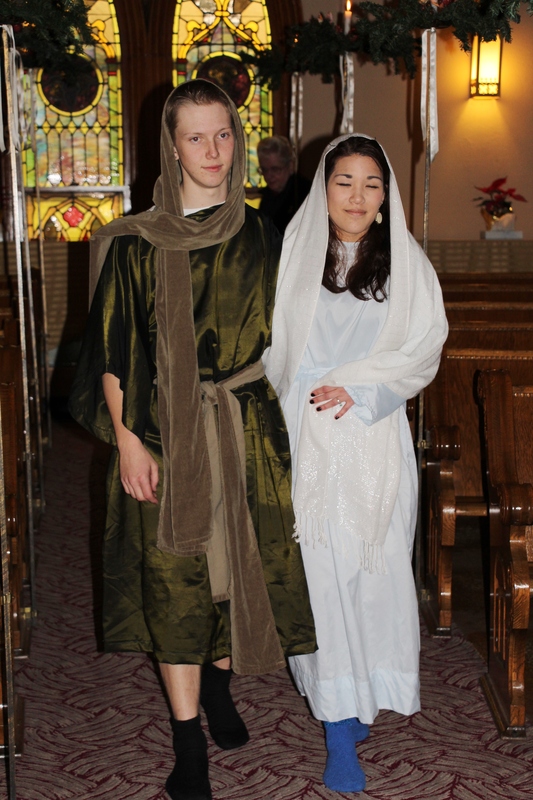 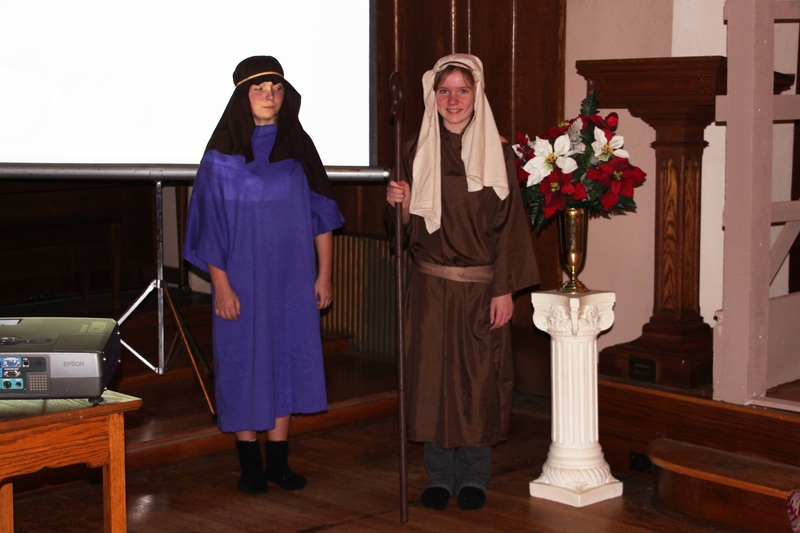 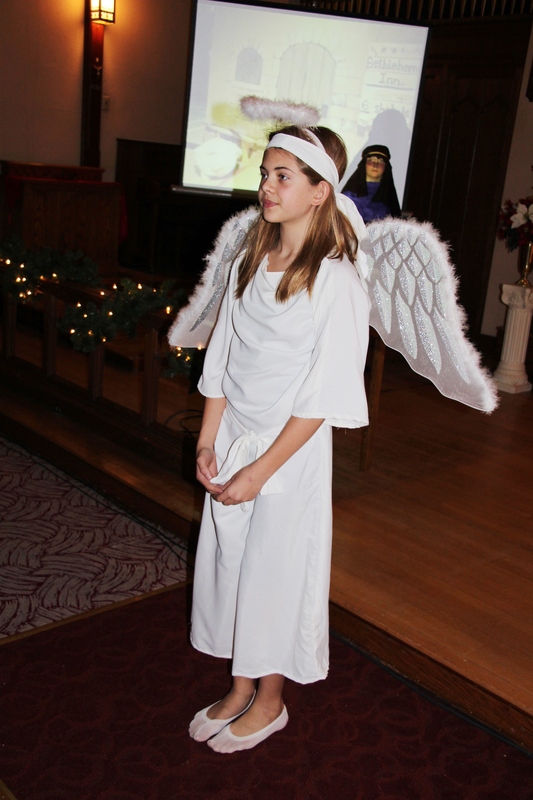 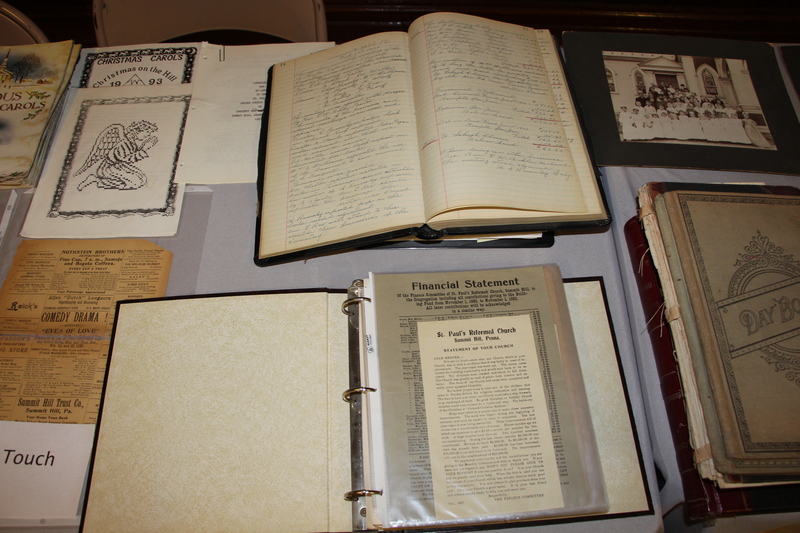 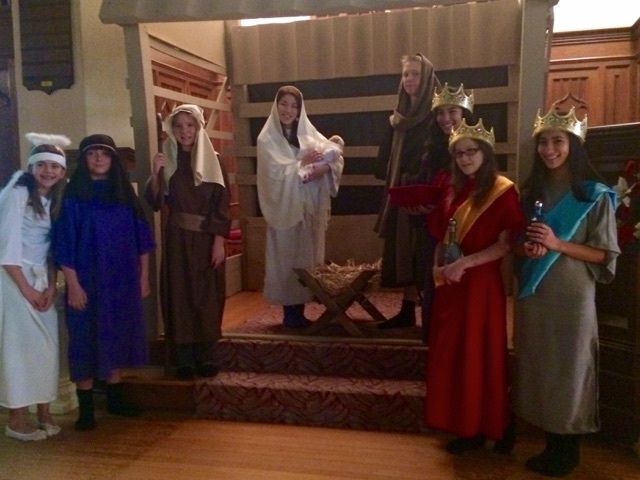 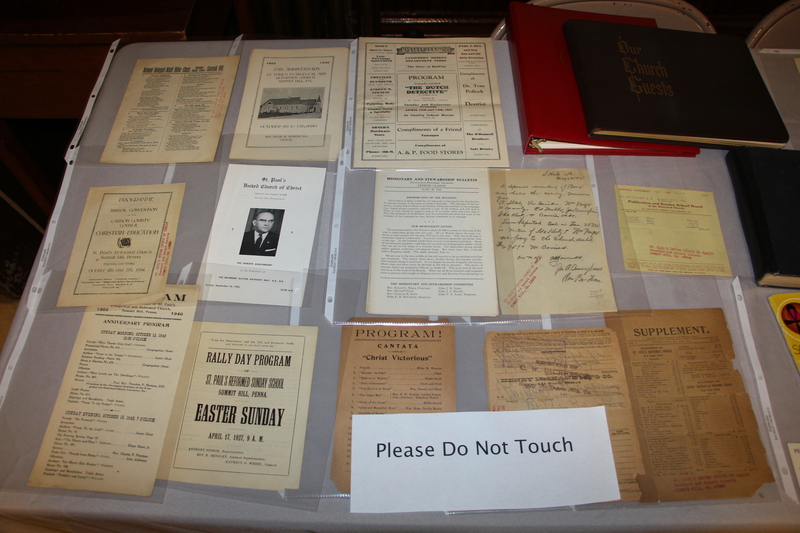 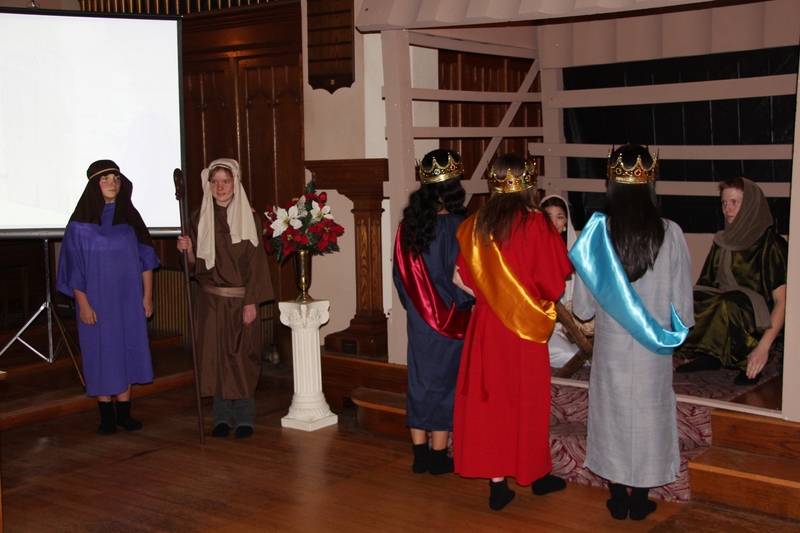 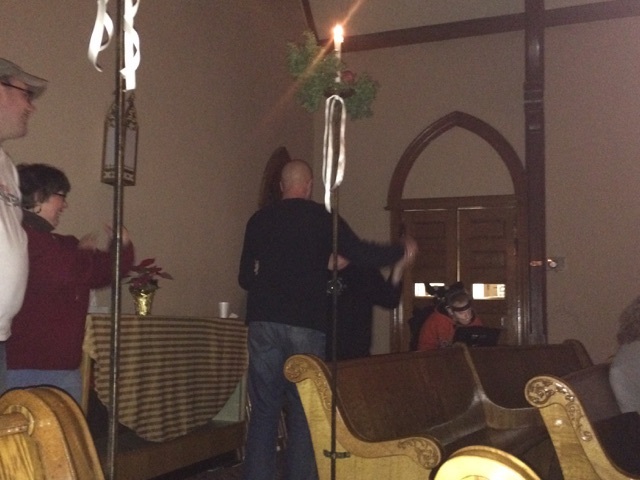 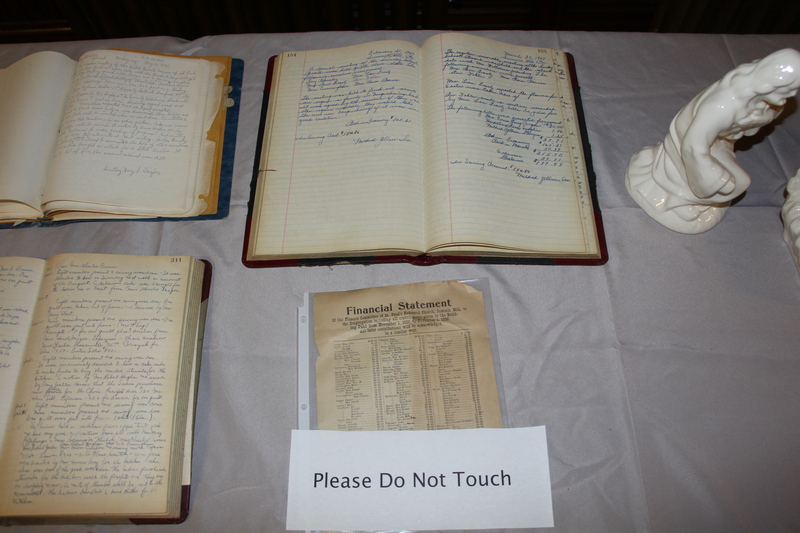 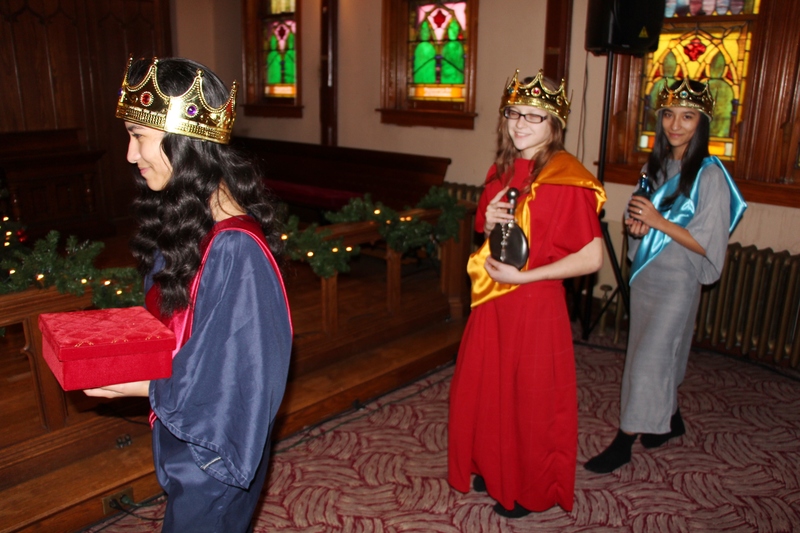 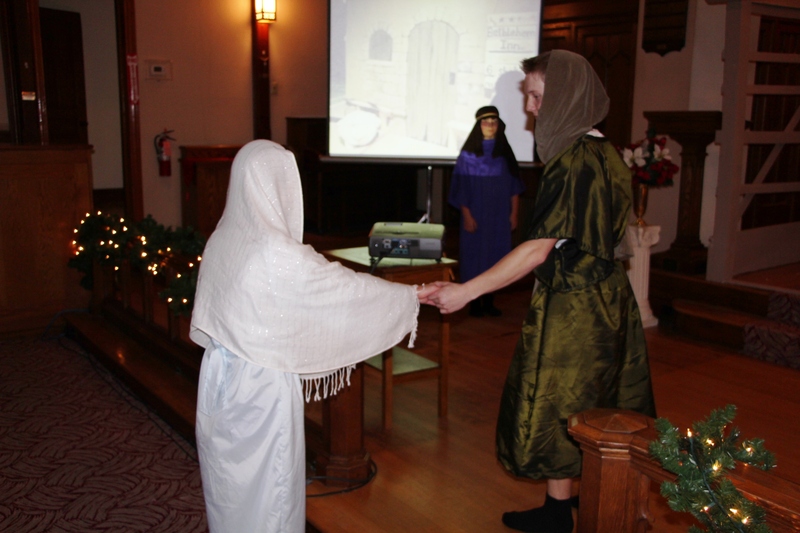 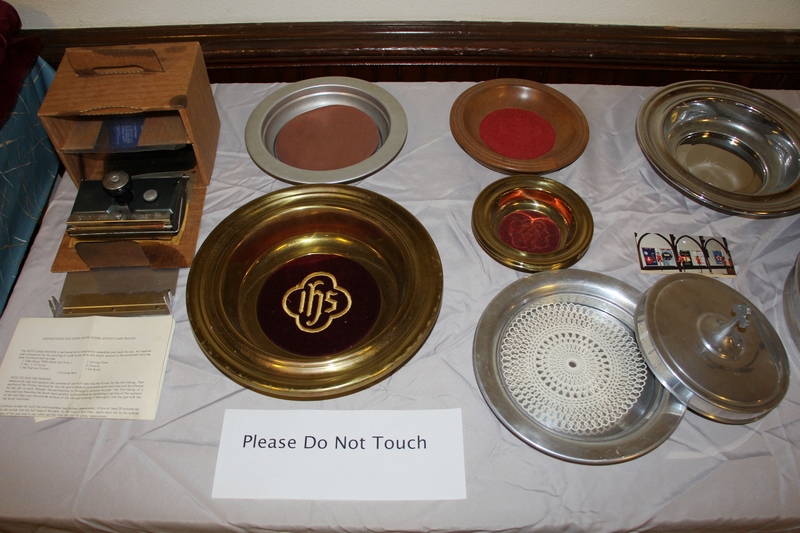 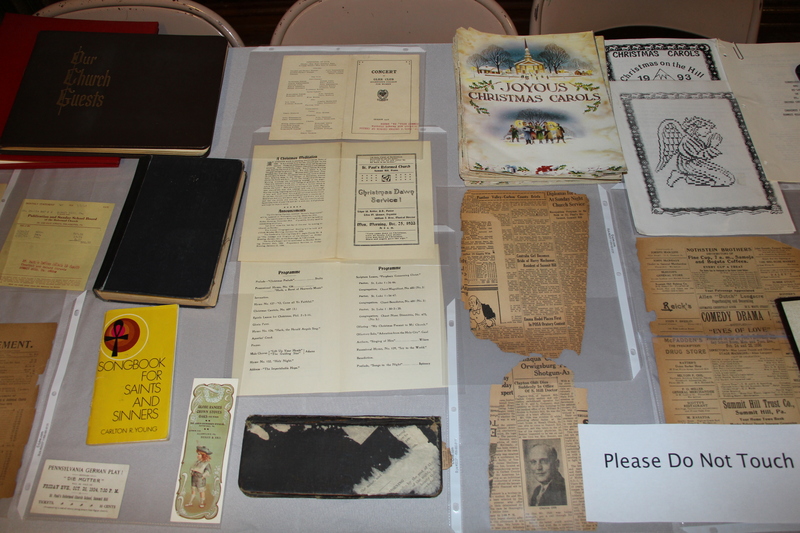 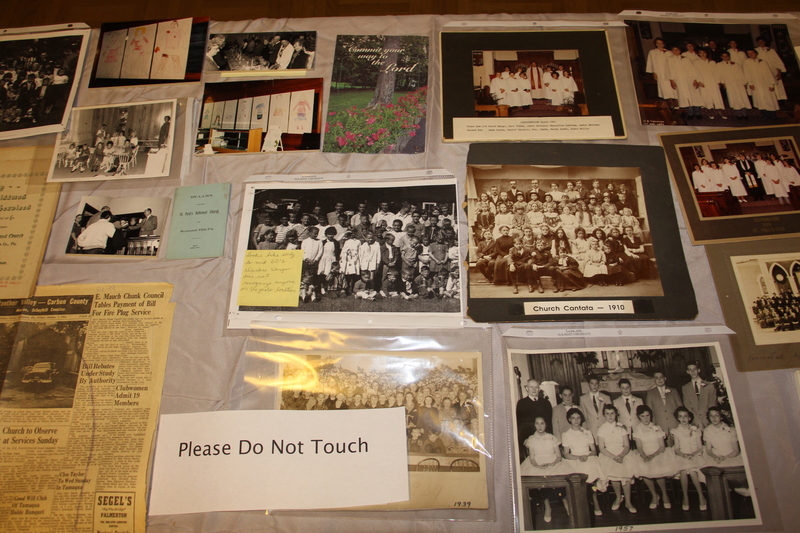 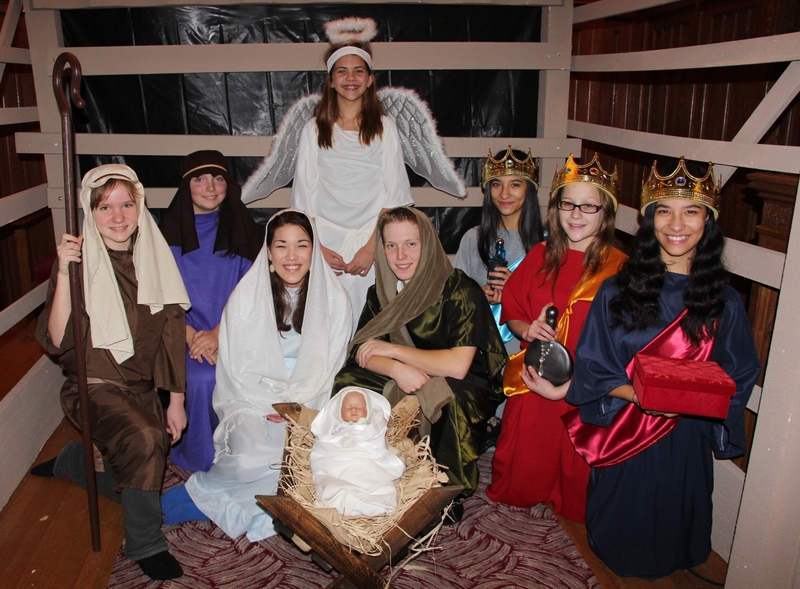 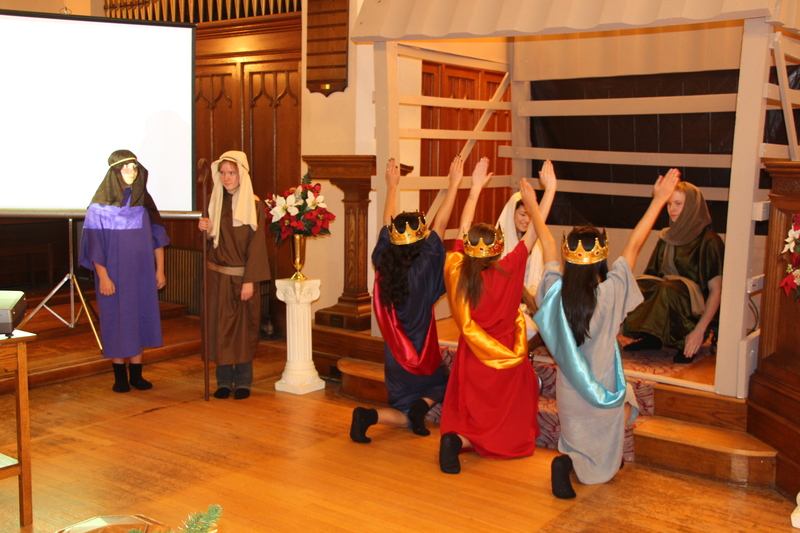 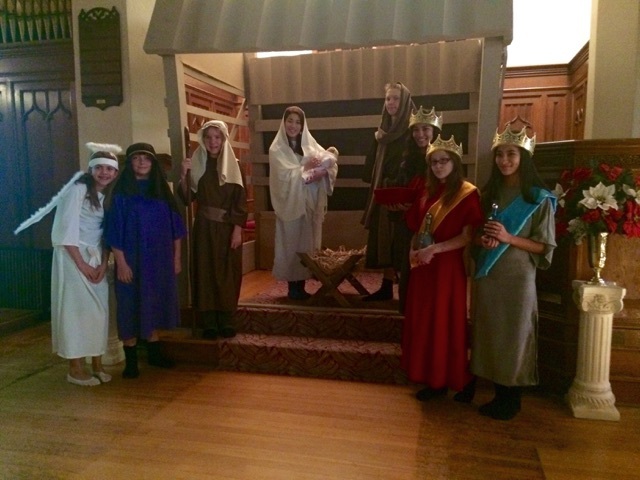 Summit Hill Heritage Center, 1 West Hazard Street, treated visitors to a Living Nativity performance by youth of the Church On The Rock, photos and historical artifacts from the former United Church of Christ Church, and free snacks and refreshments. 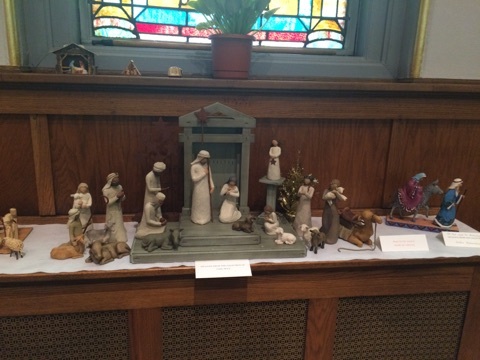 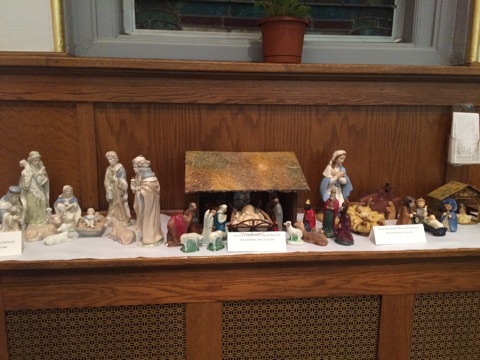 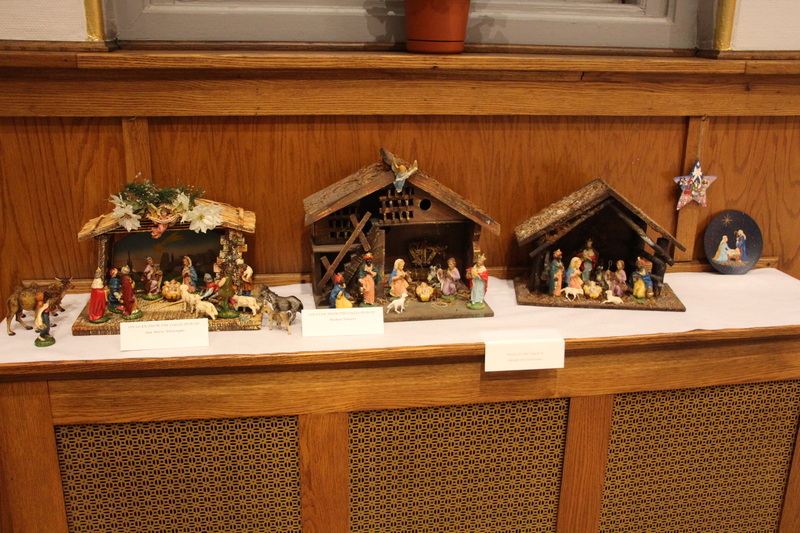 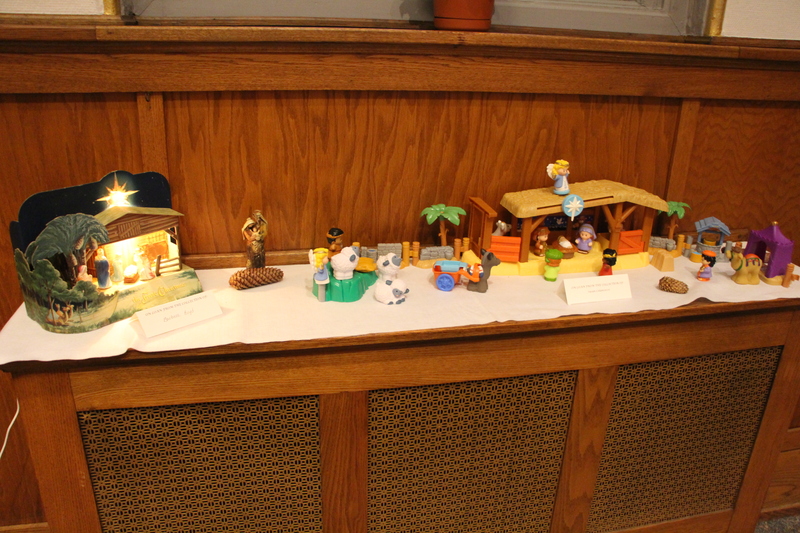 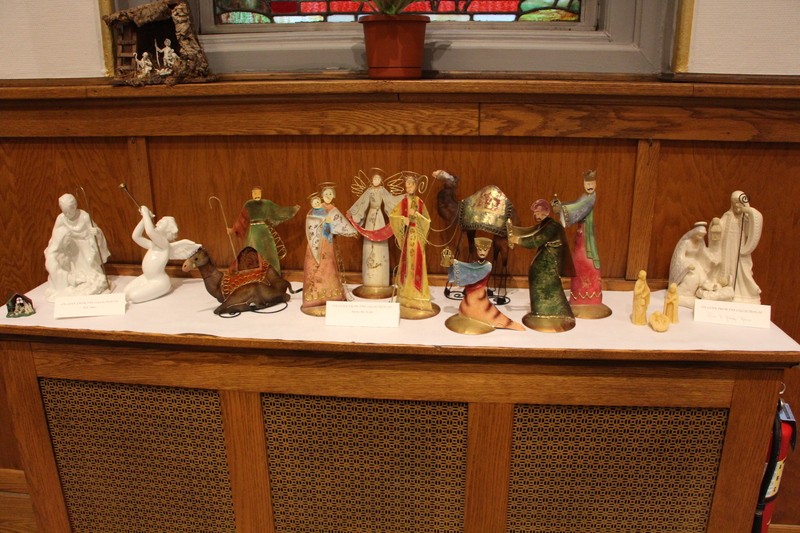 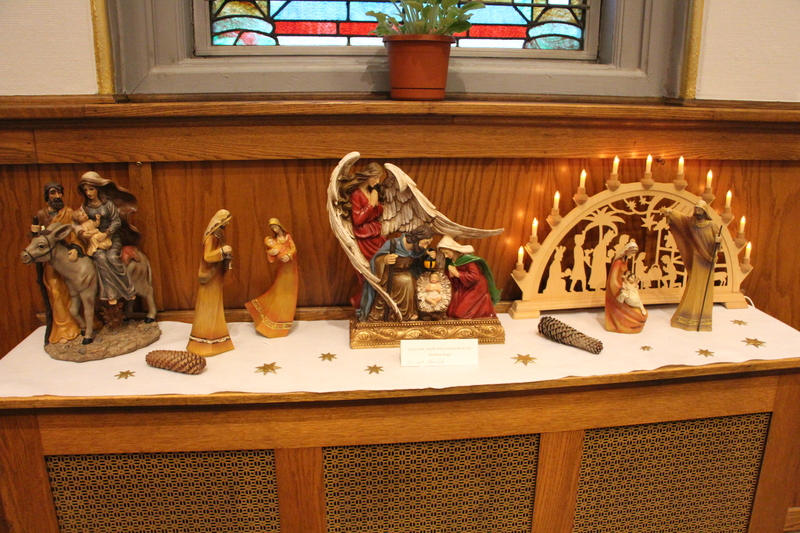 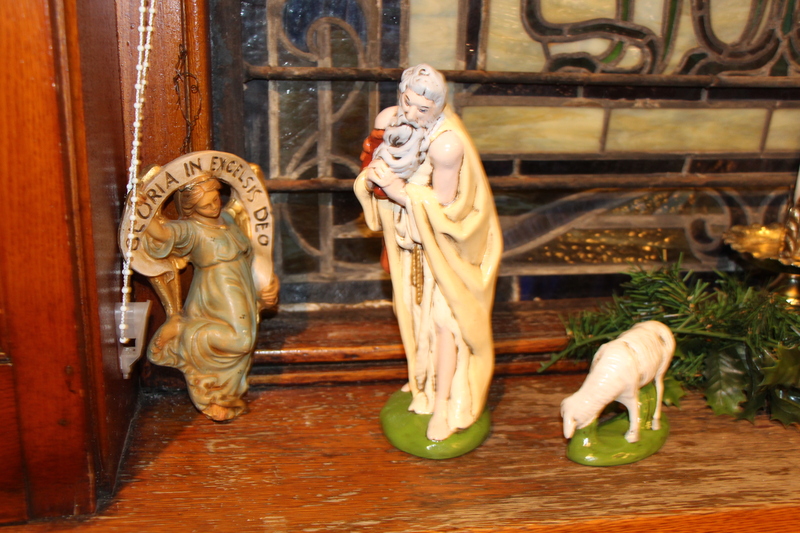 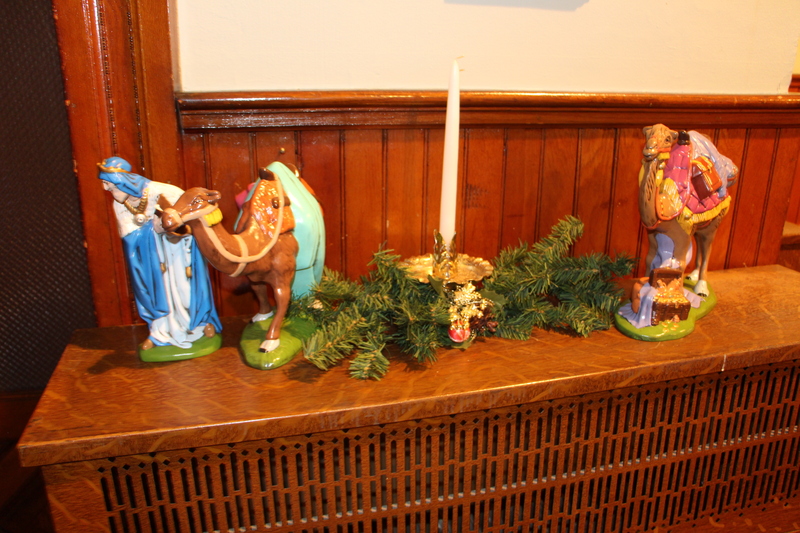 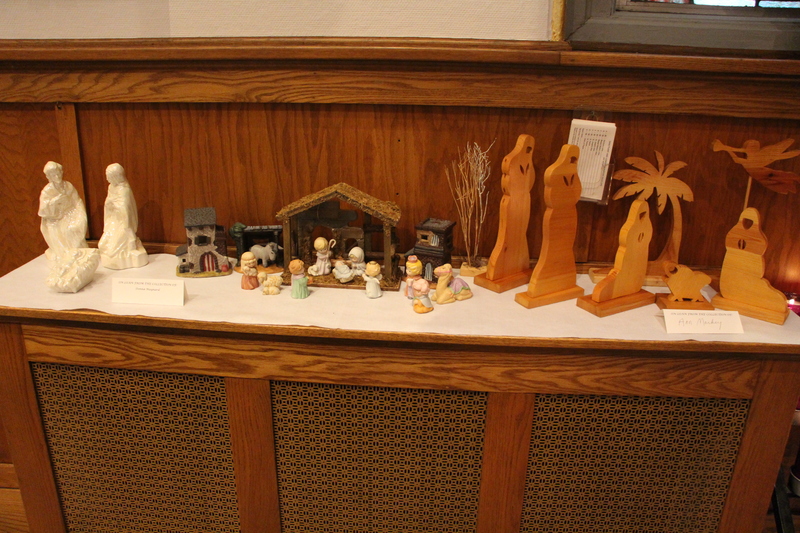 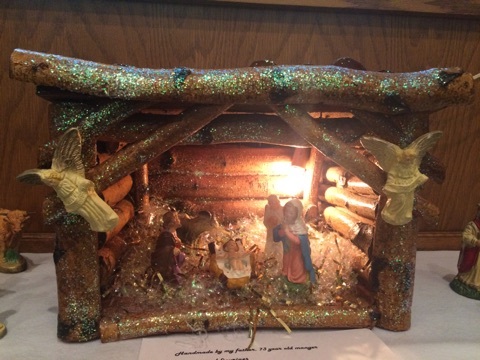 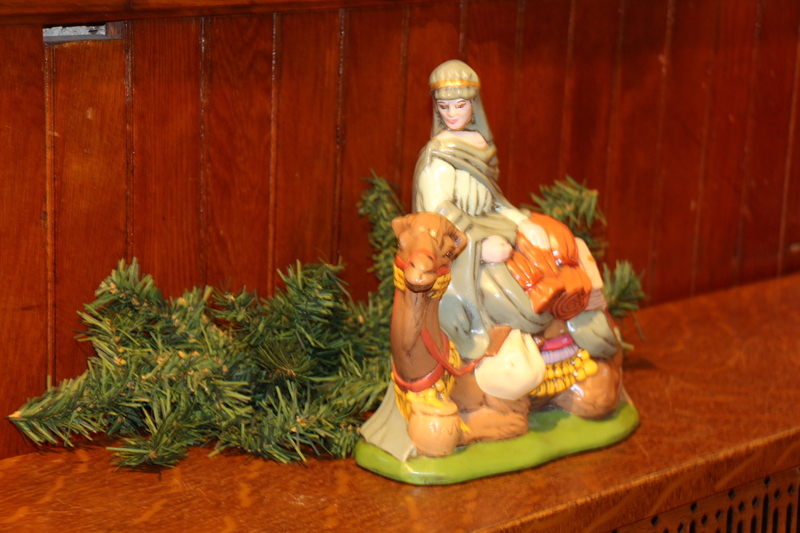 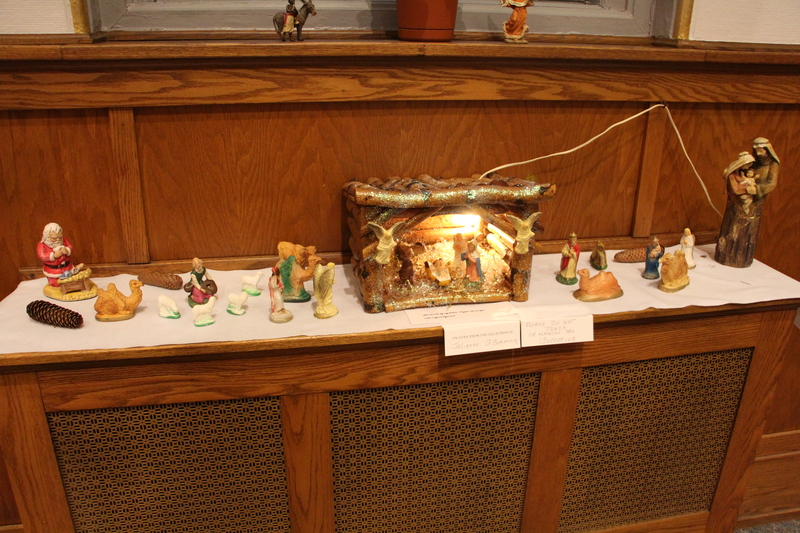 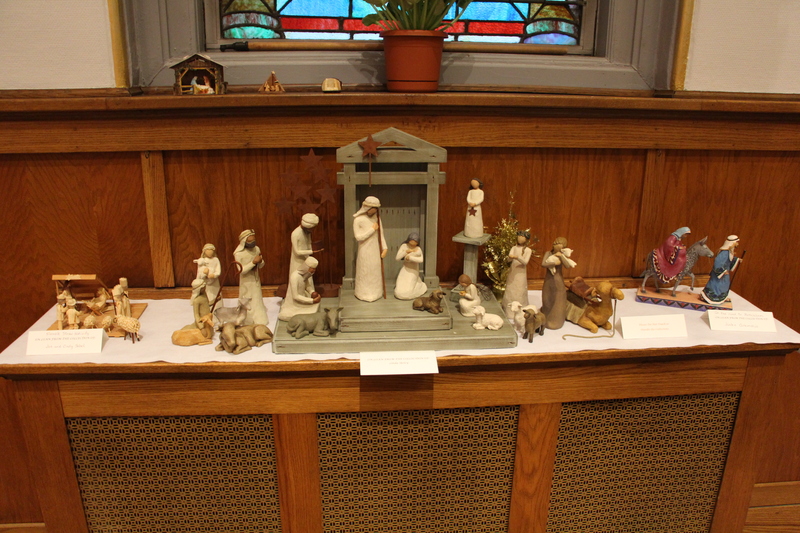 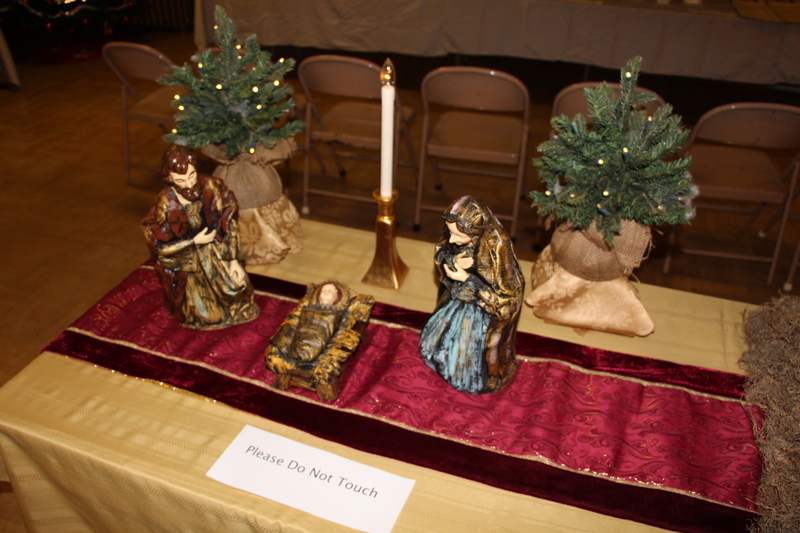 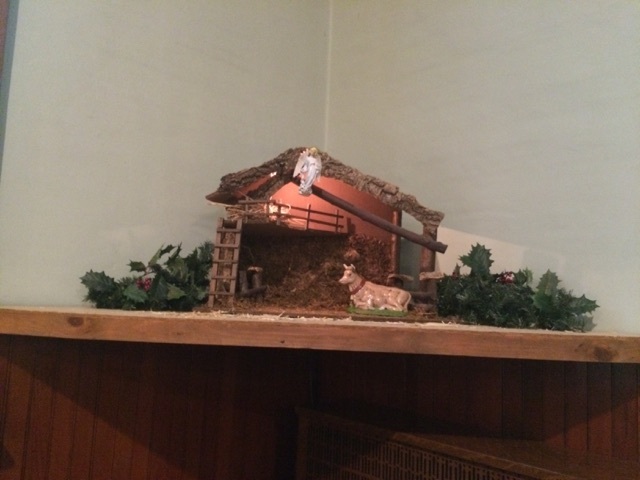 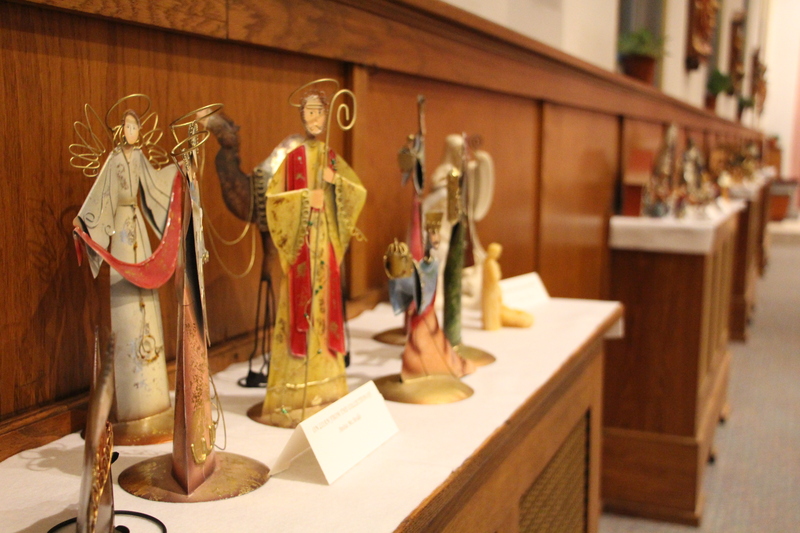 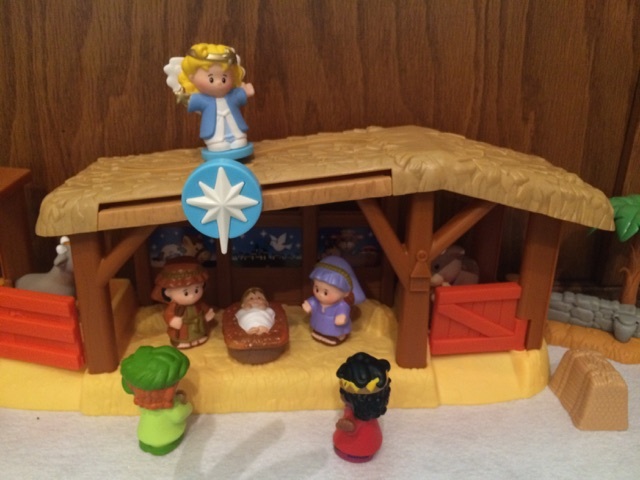 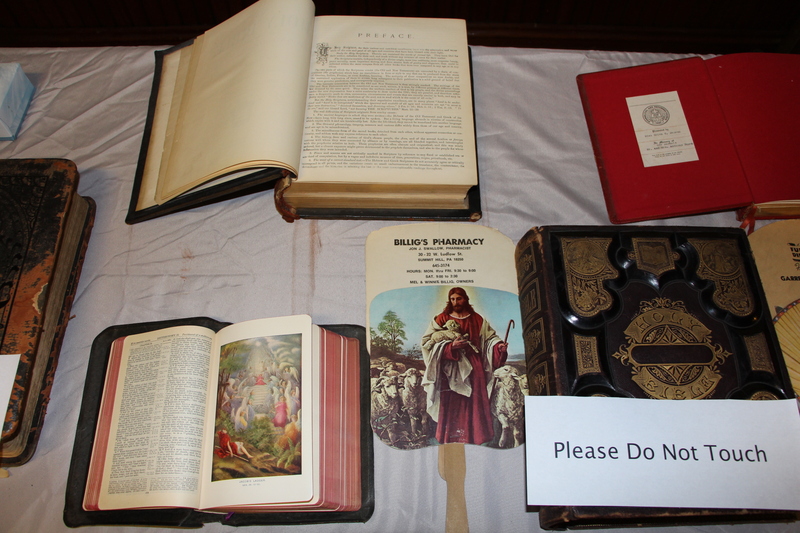 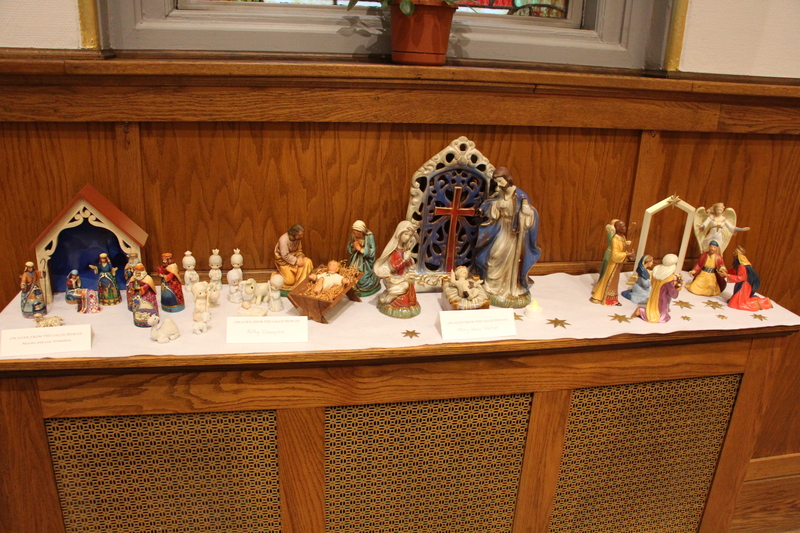 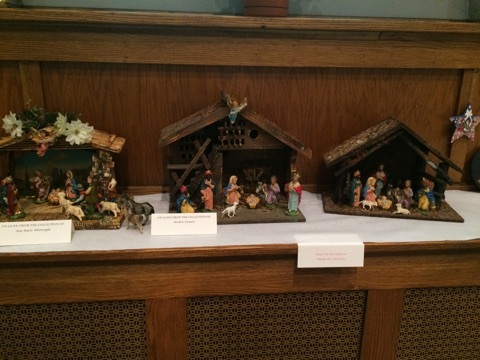 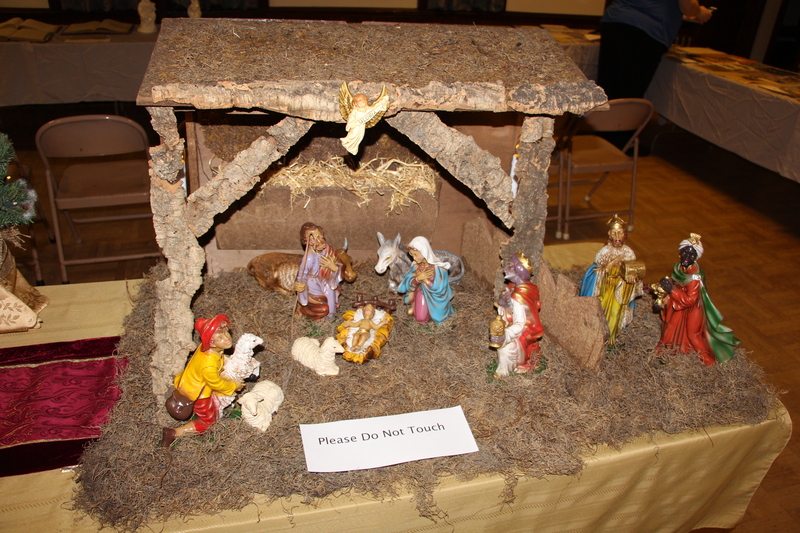 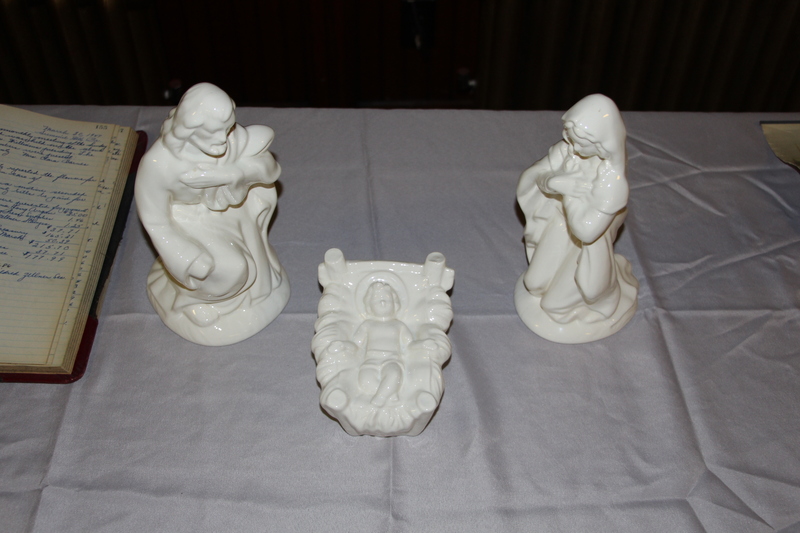 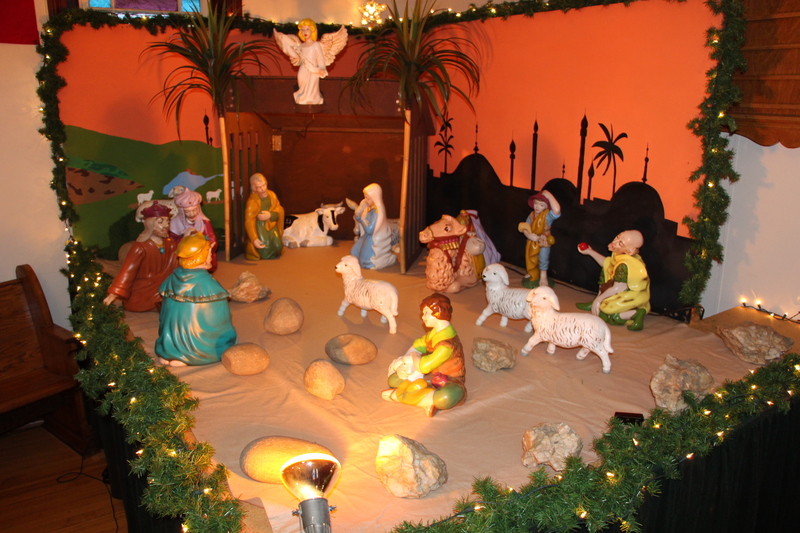 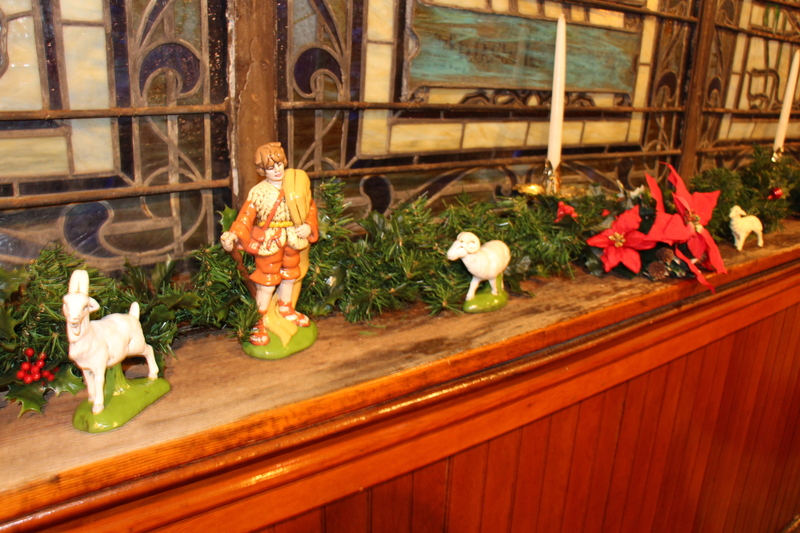 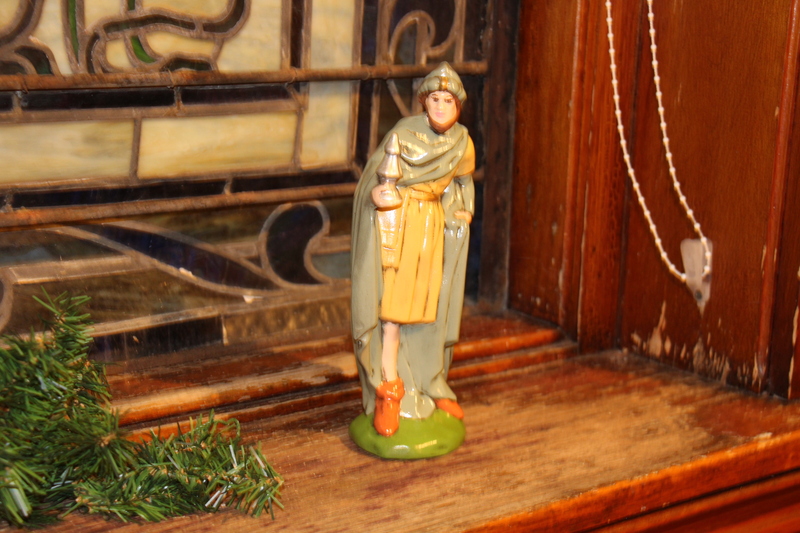 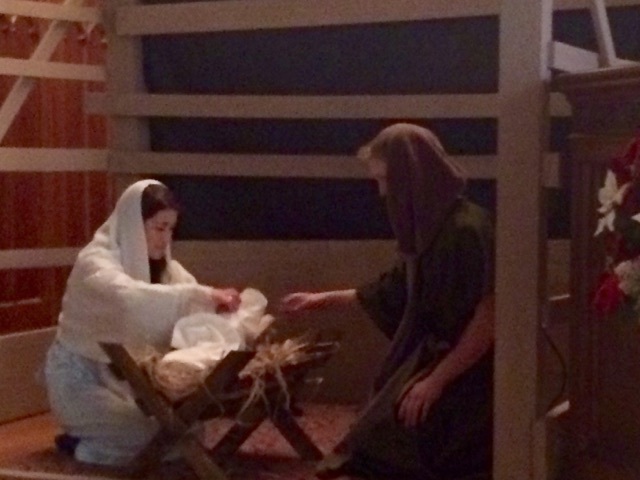 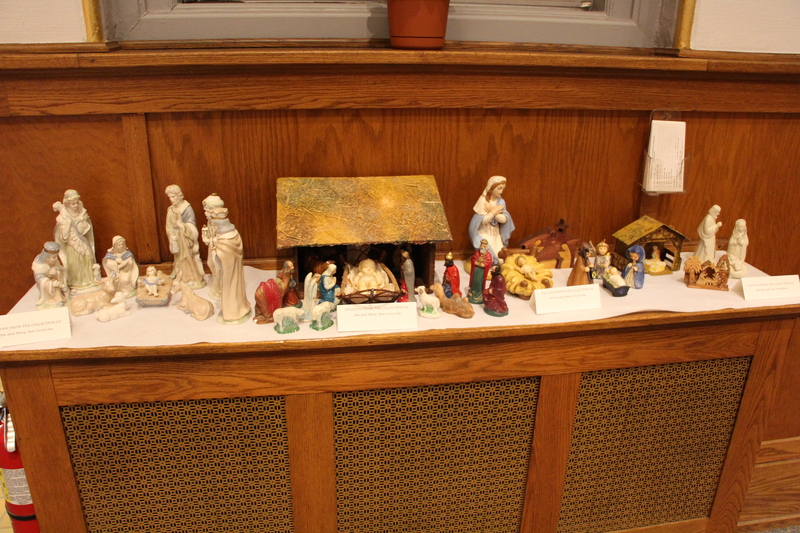 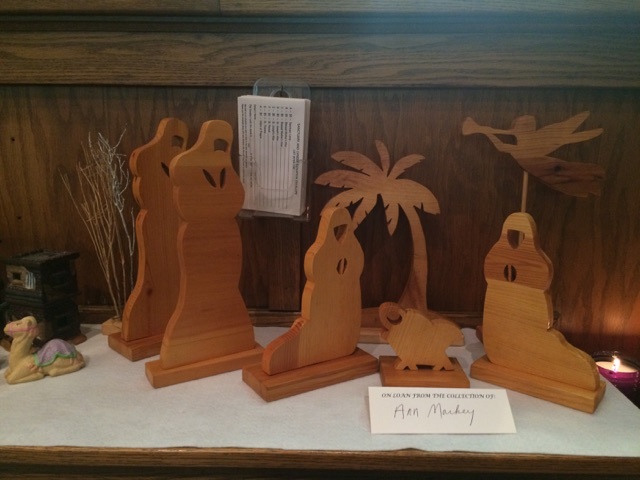 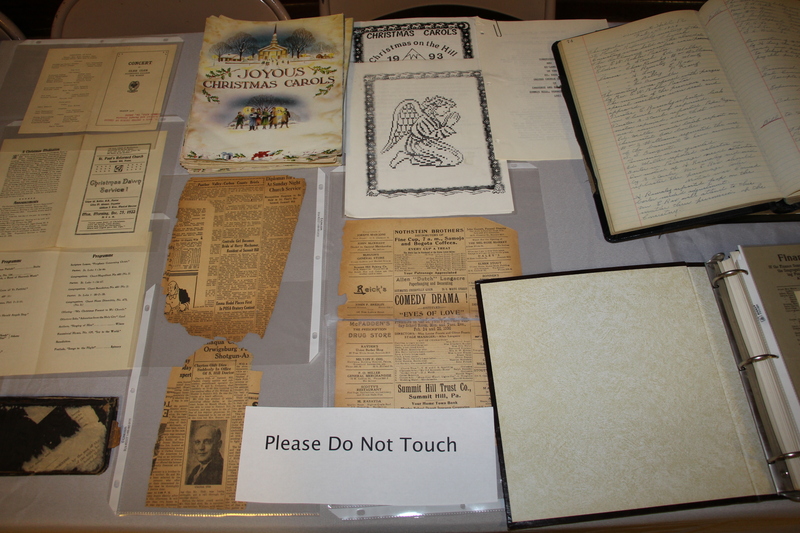 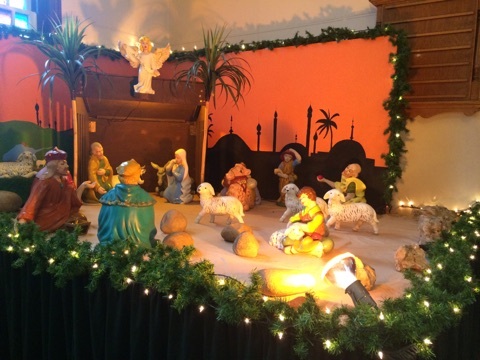 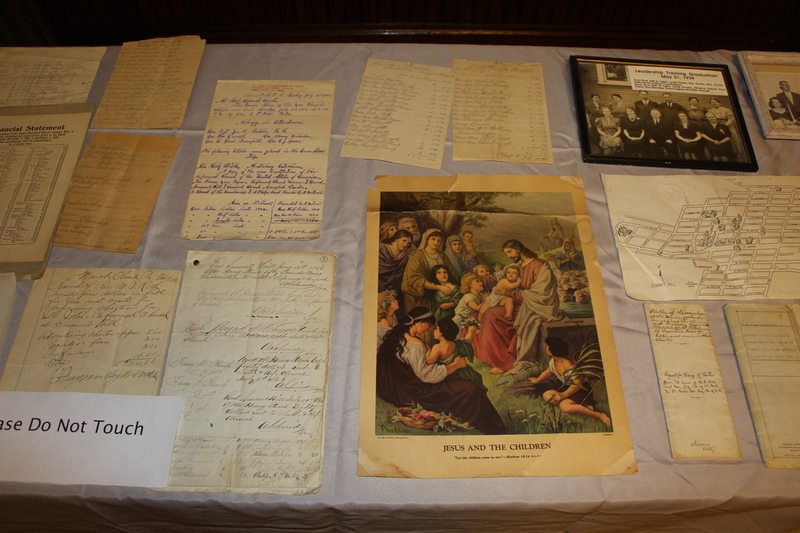 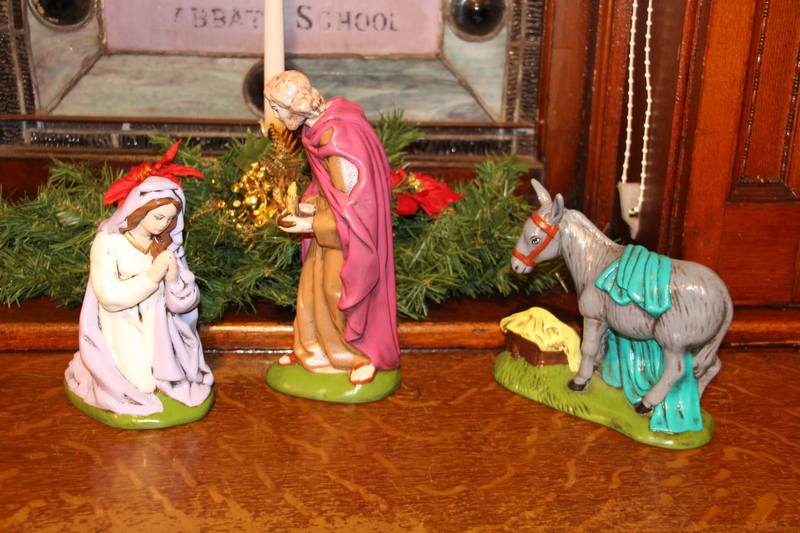 Also on display at the center was a Nativity display that served as the church’s original 1930 crèche. 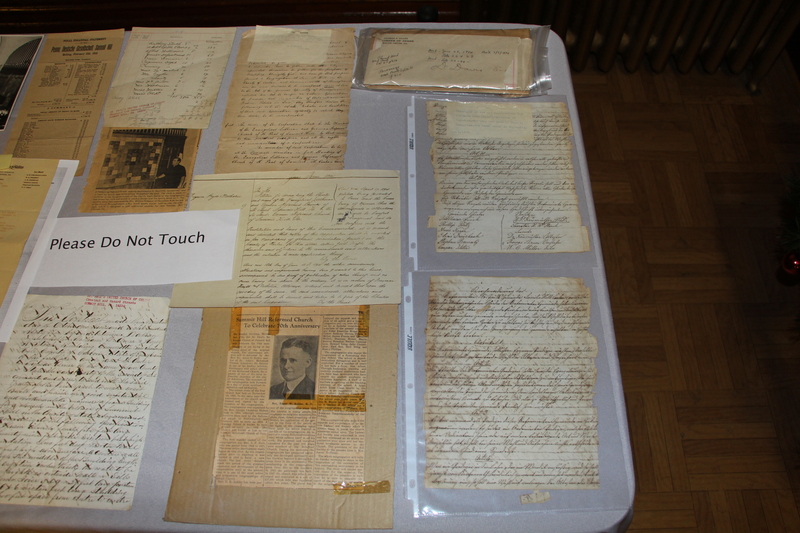 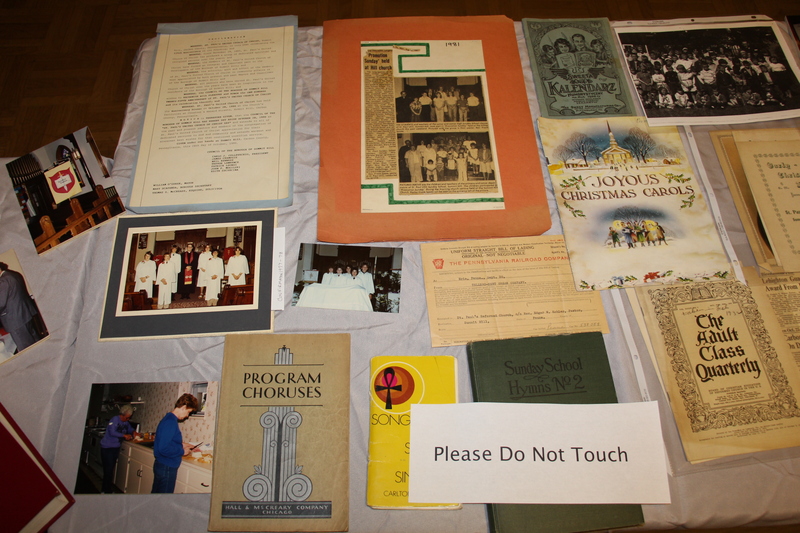 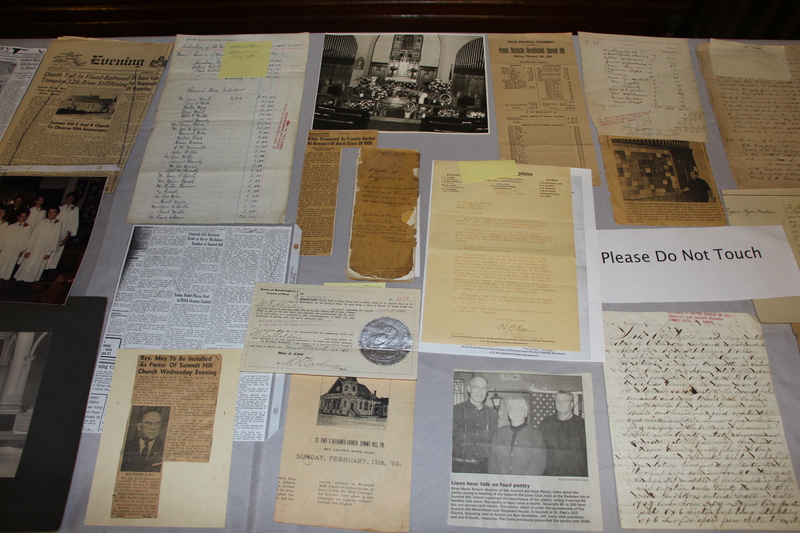 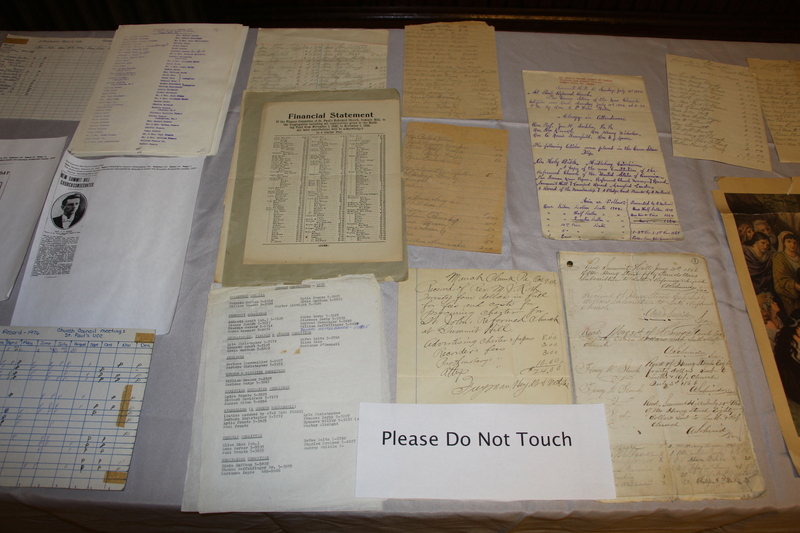 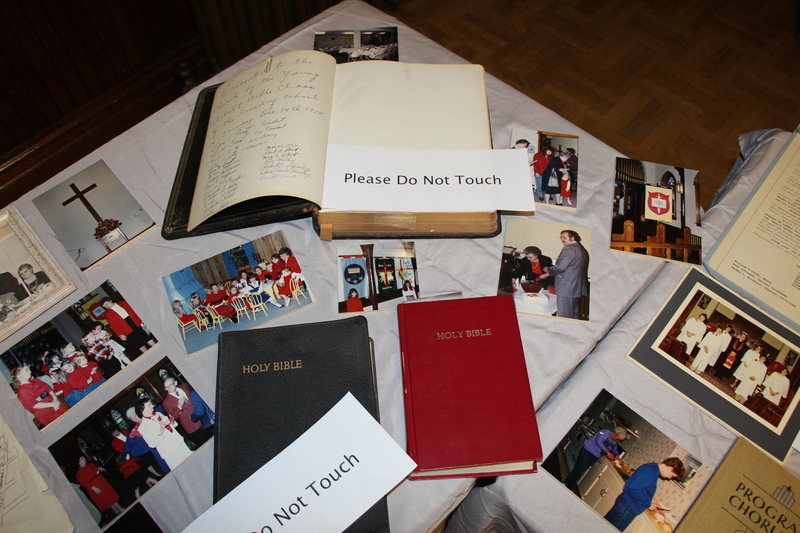 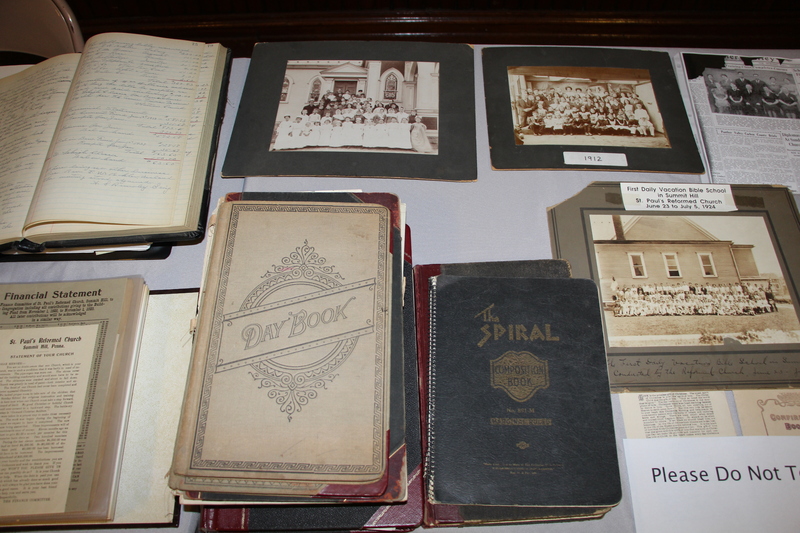 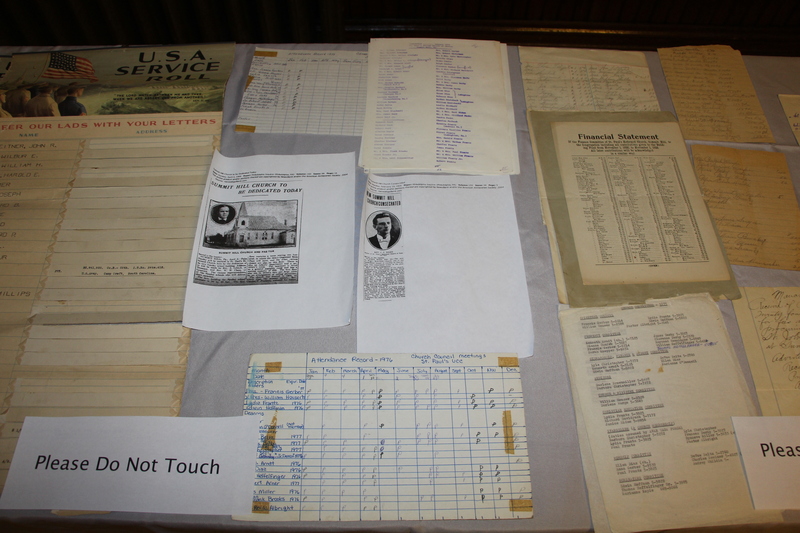 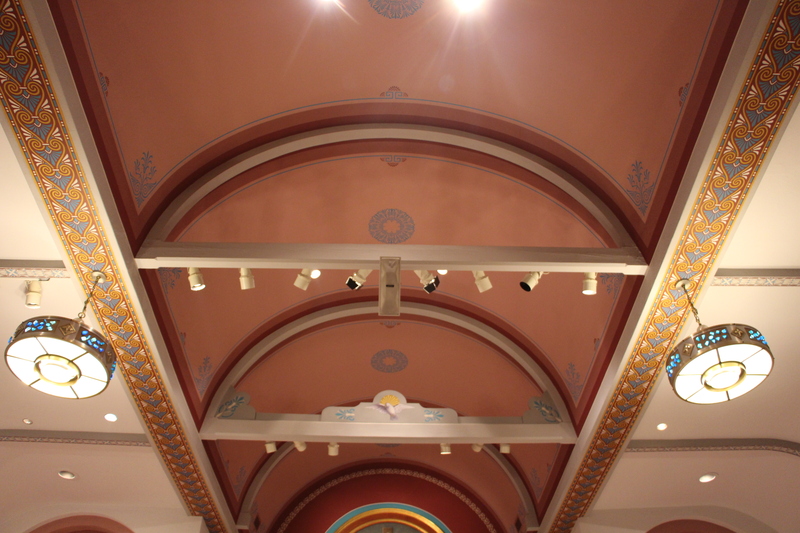 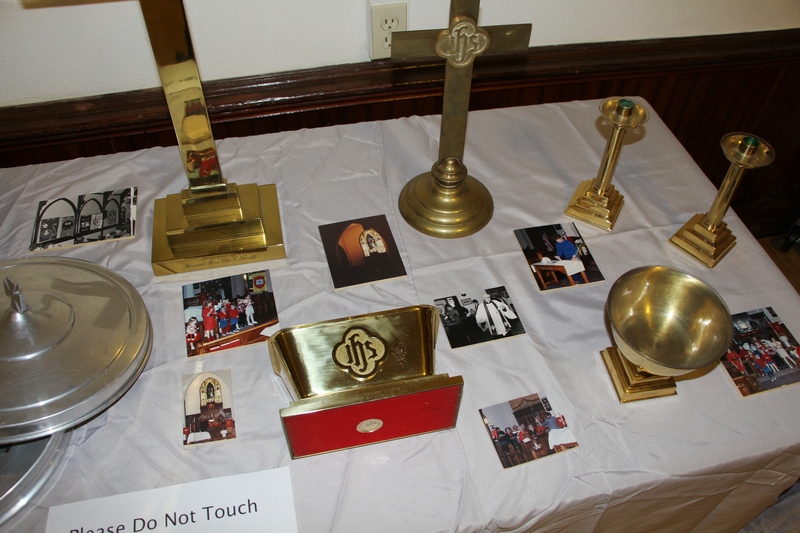 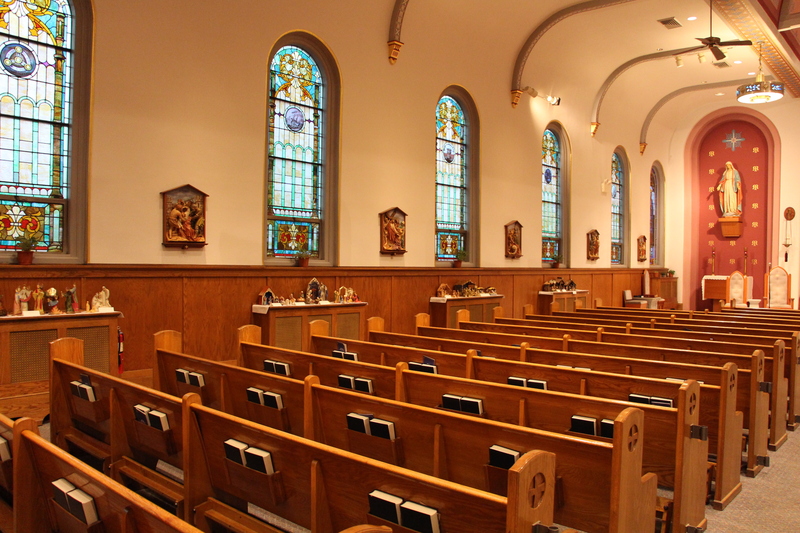 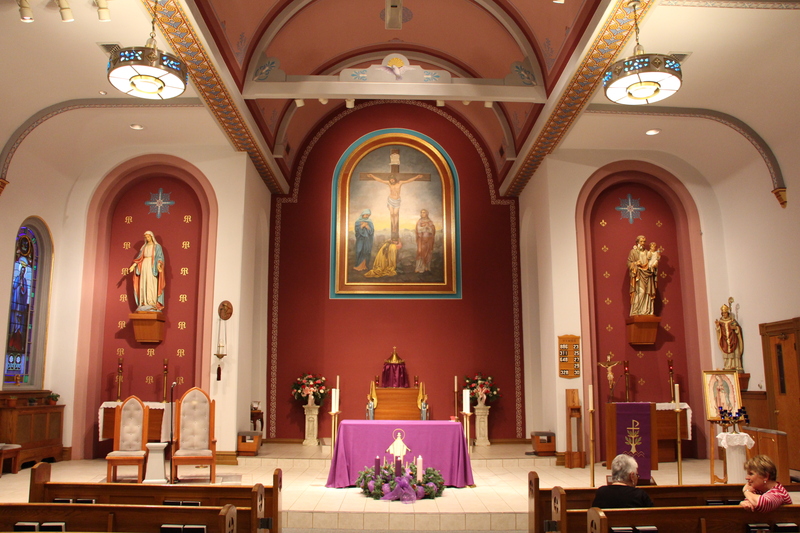 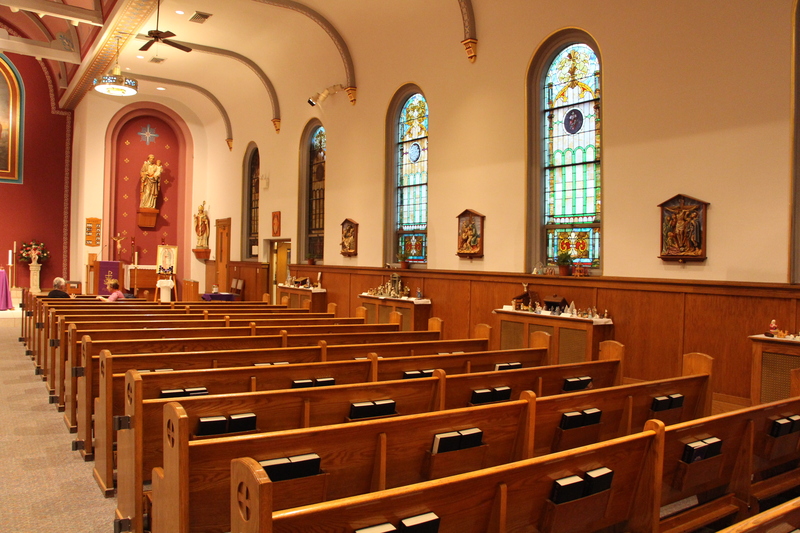 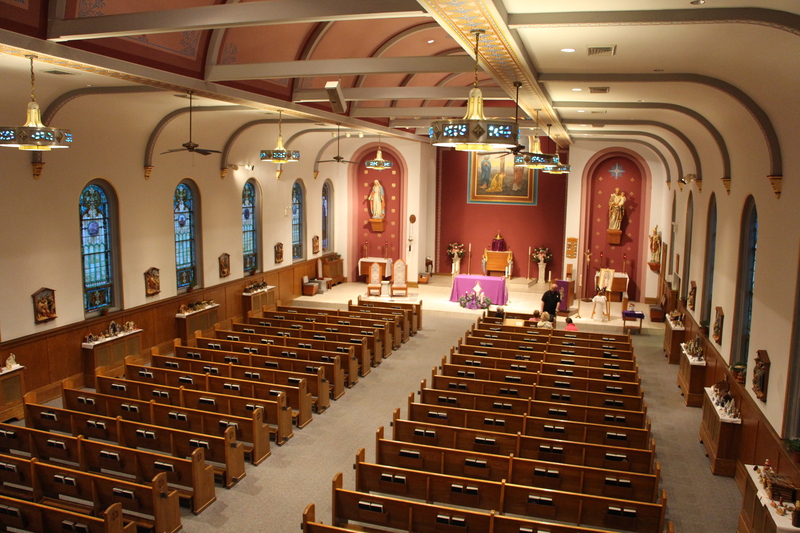 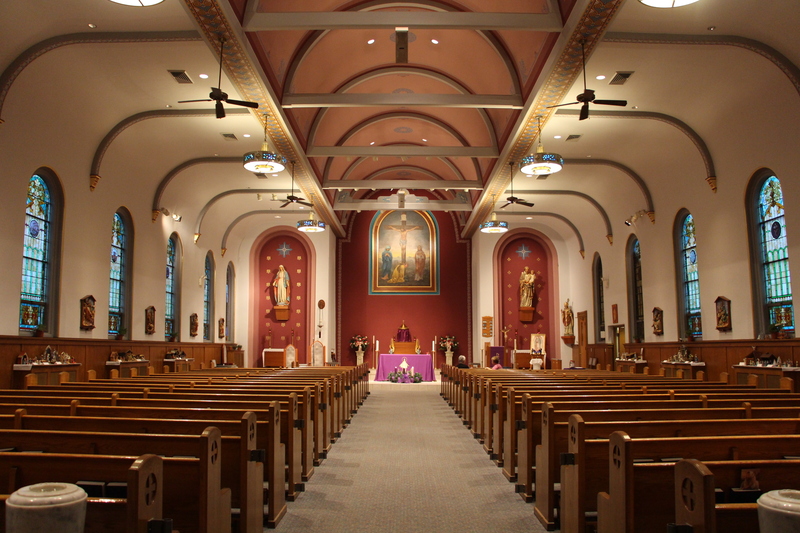 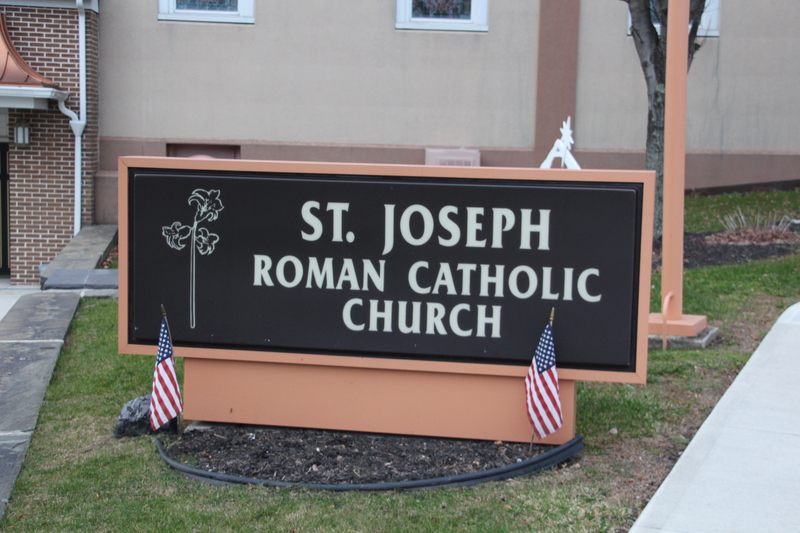 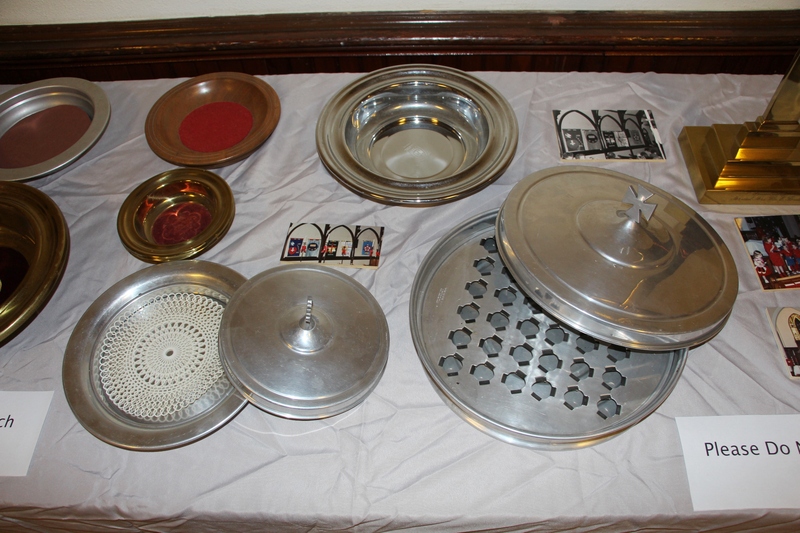 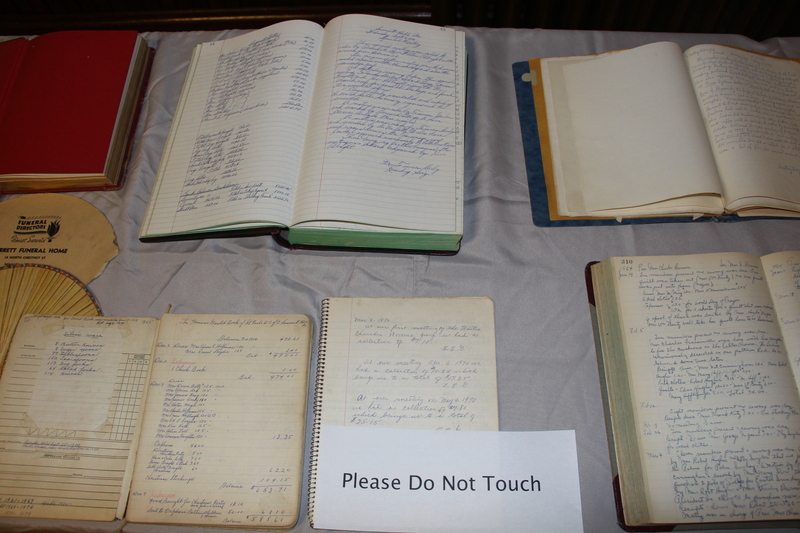 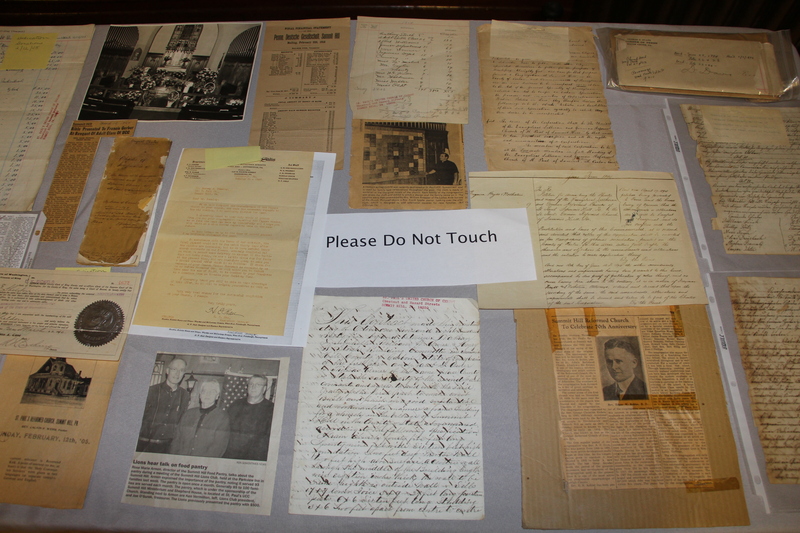 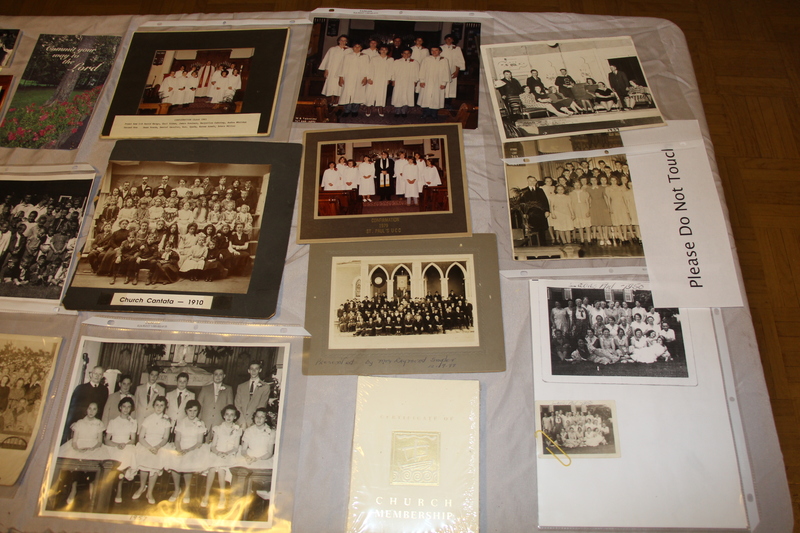 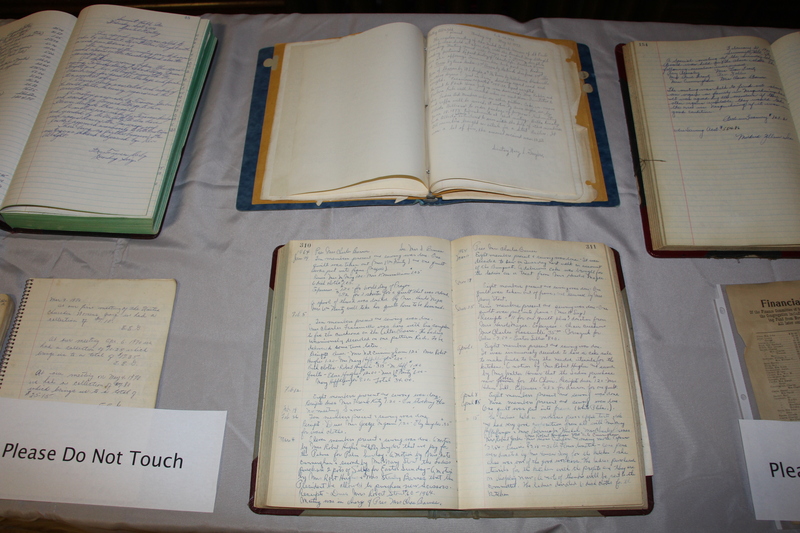 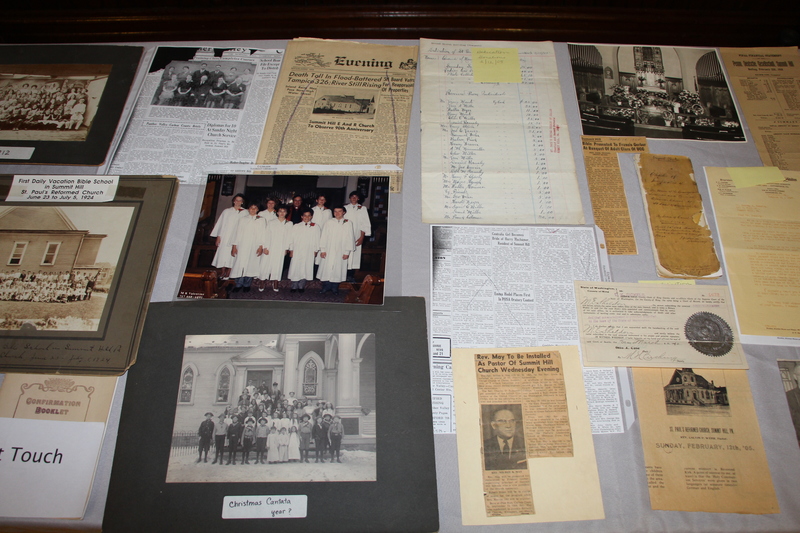 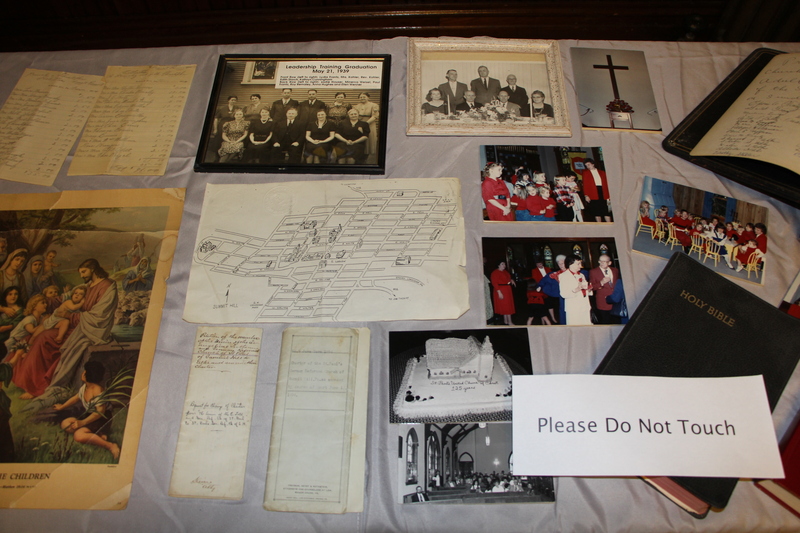 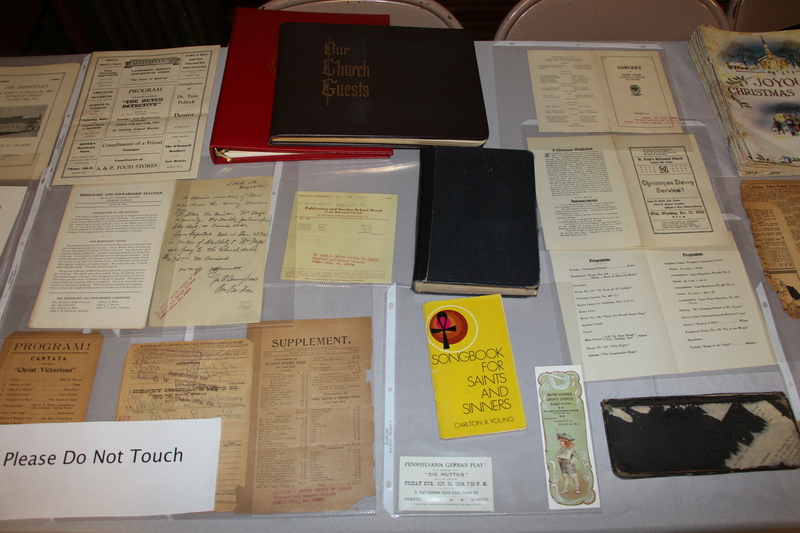 St. Joseph Catholic Church, 462 West Ludlow Street, had over 80 crèches on display along both naves of the church. 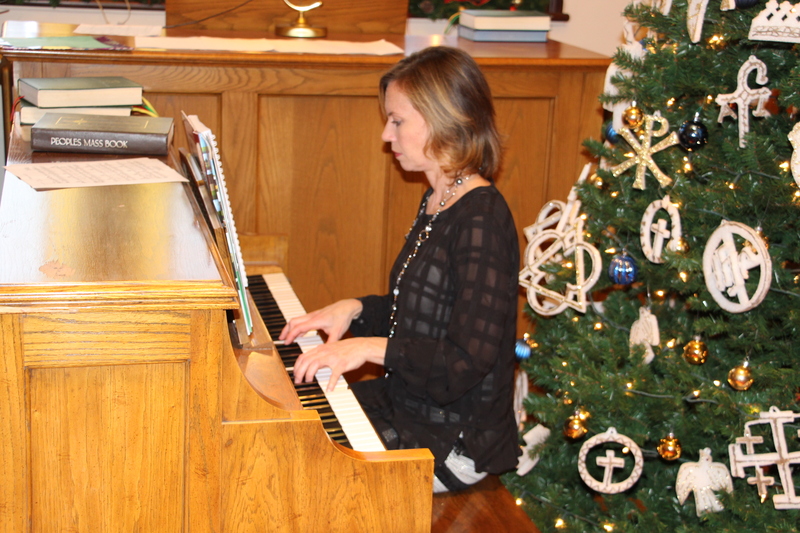 They also played Christmas music and offered snacks to visitors. 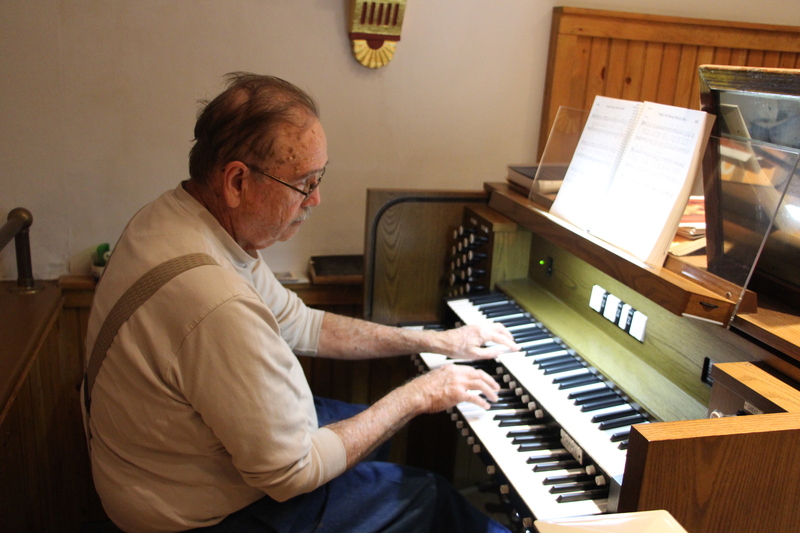 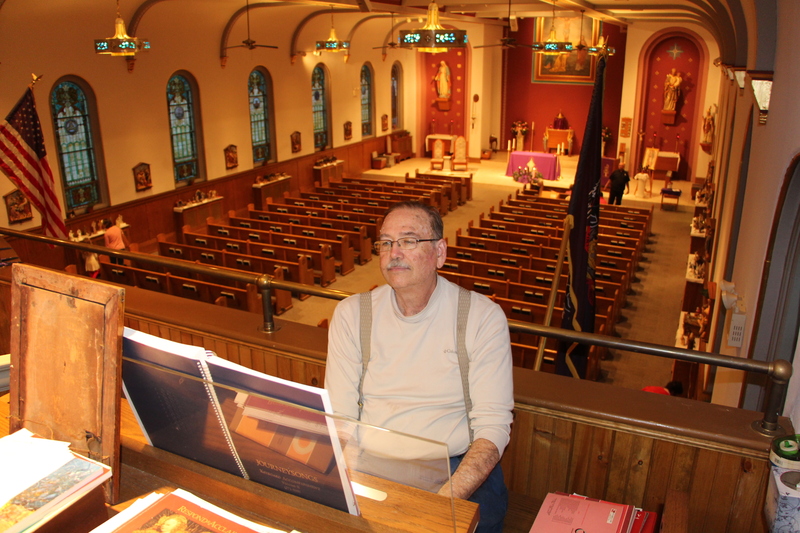 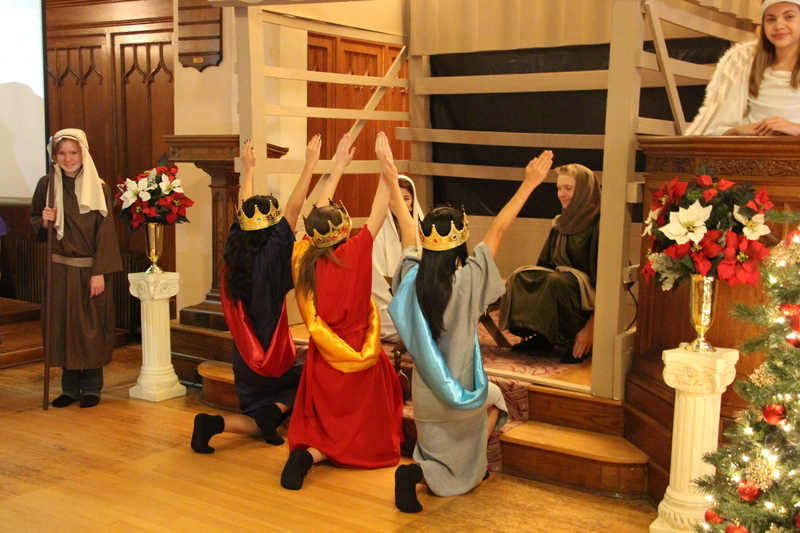 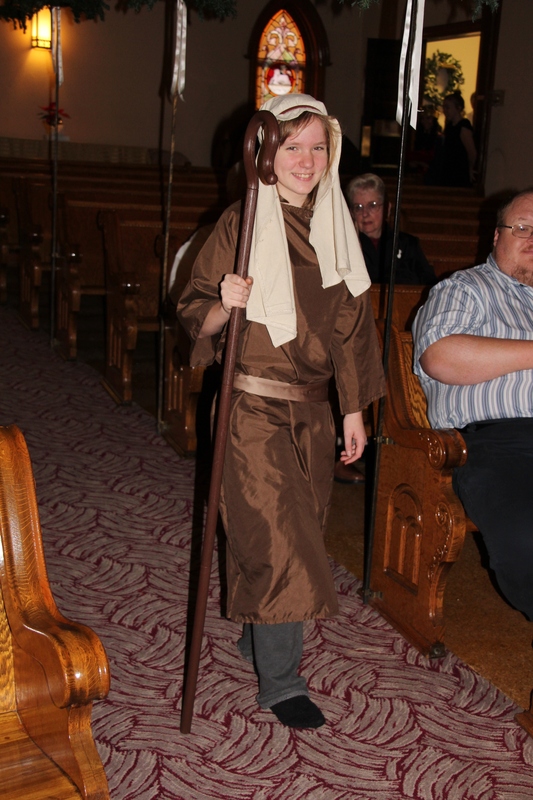 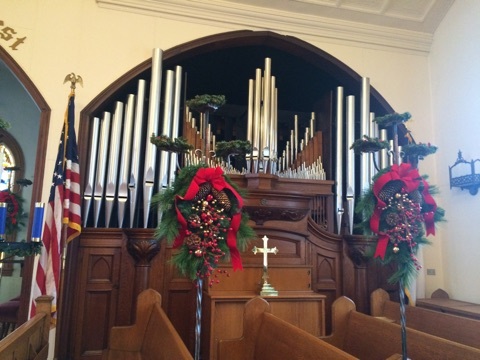 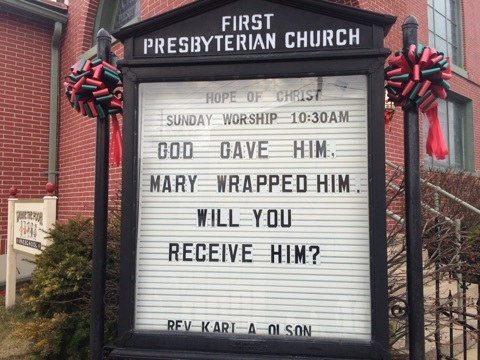 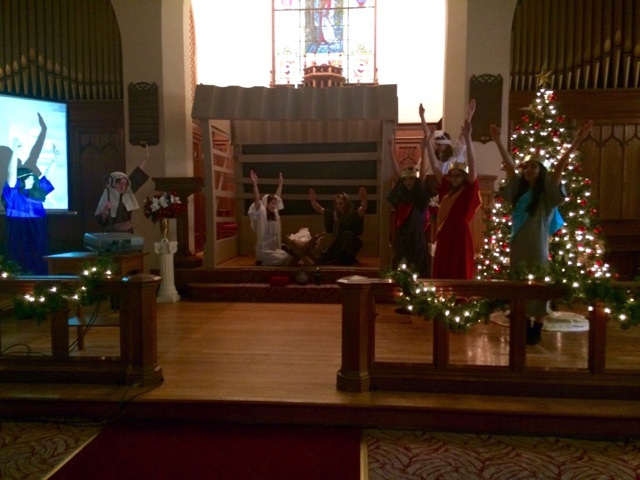 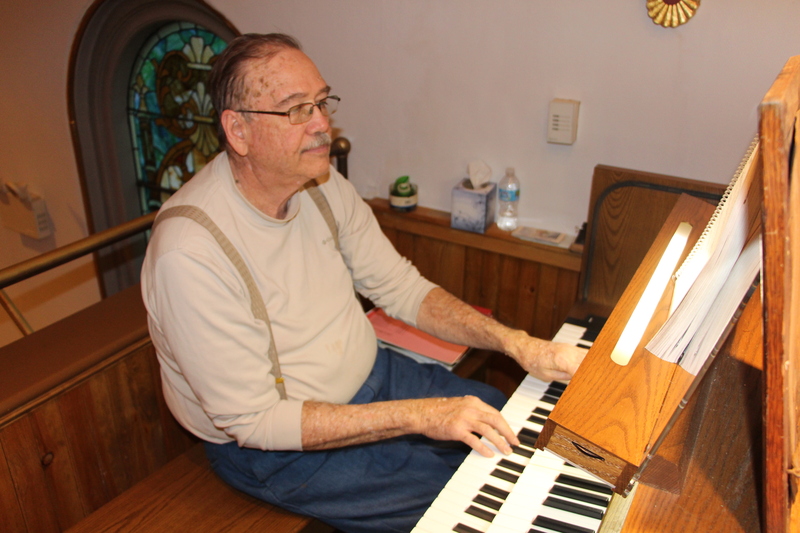 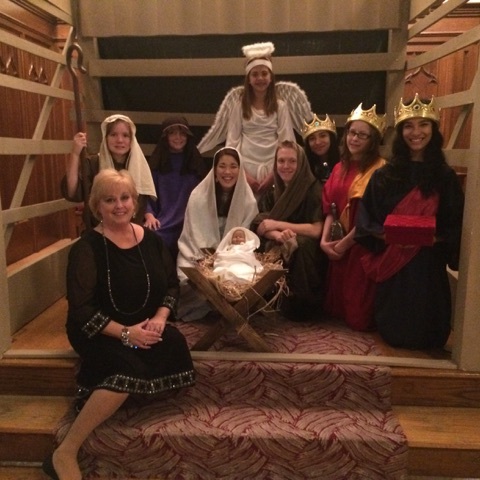 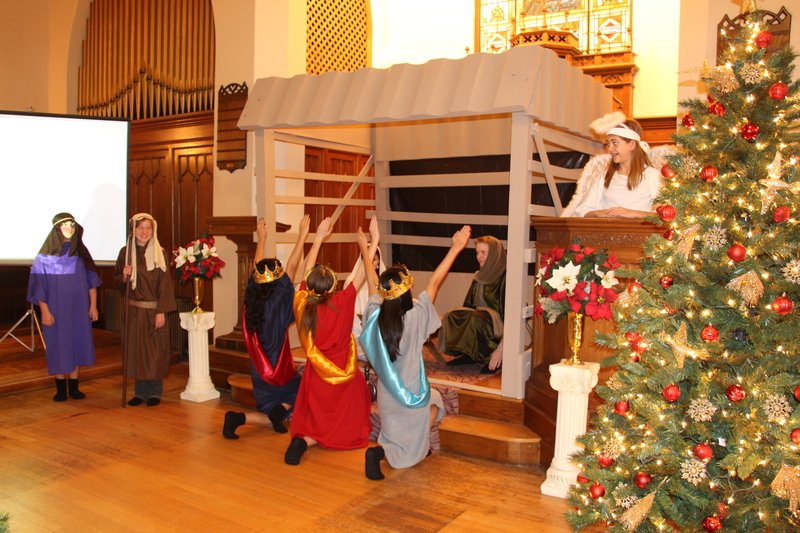 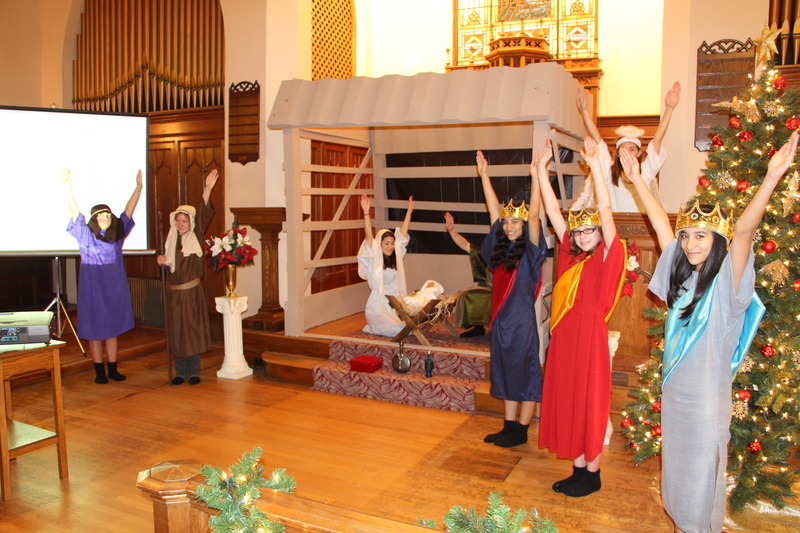 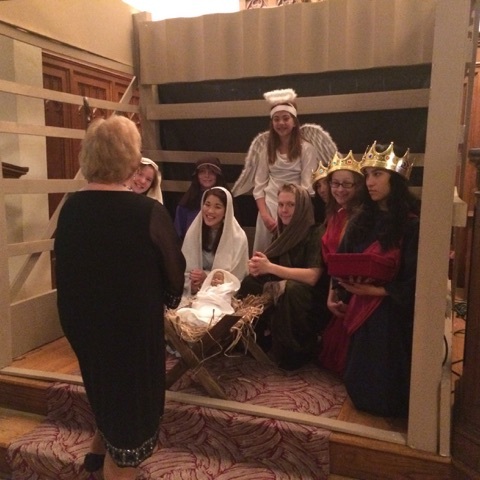 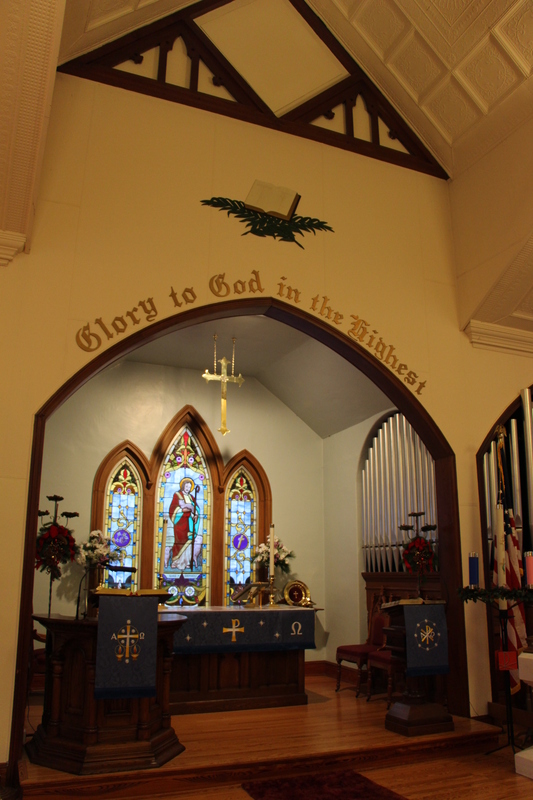 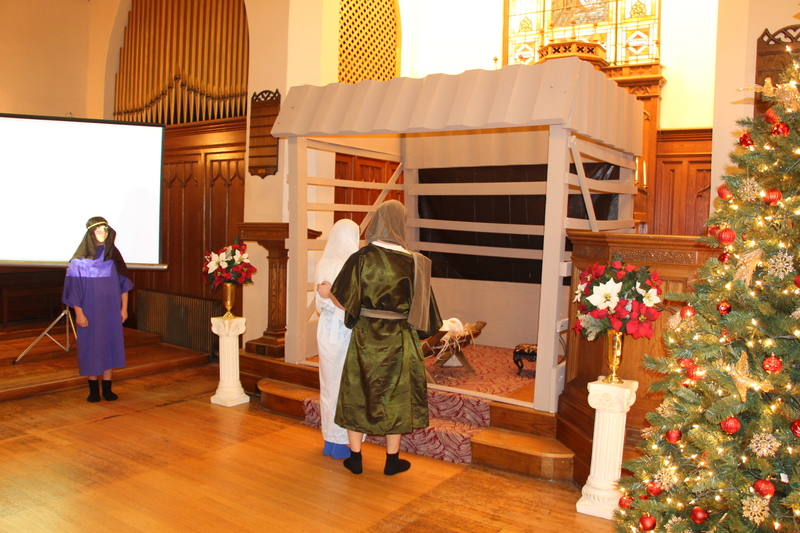 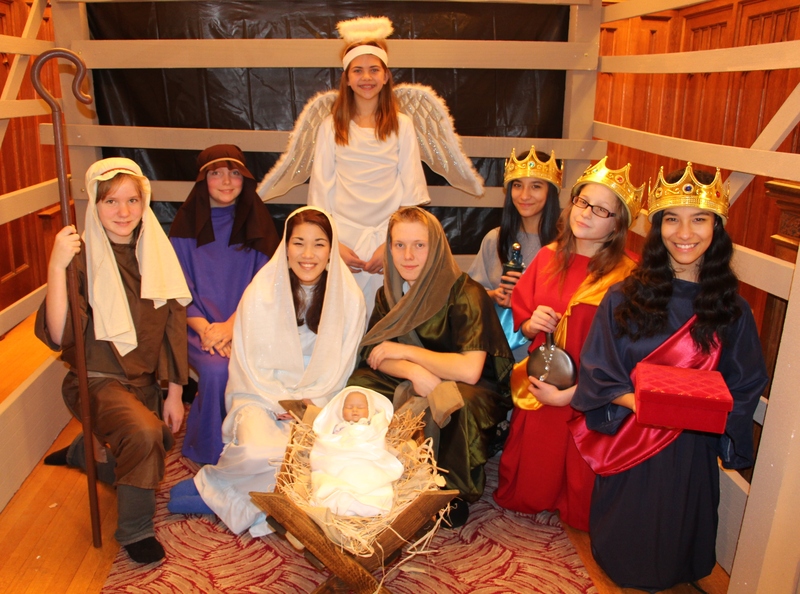 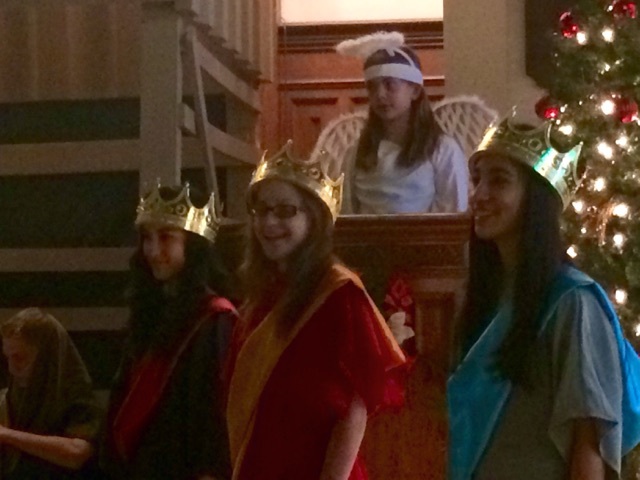 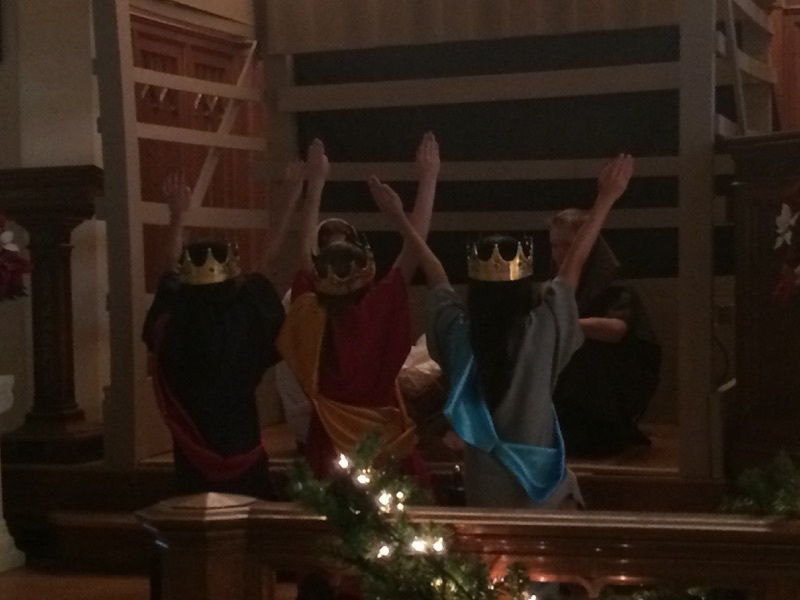 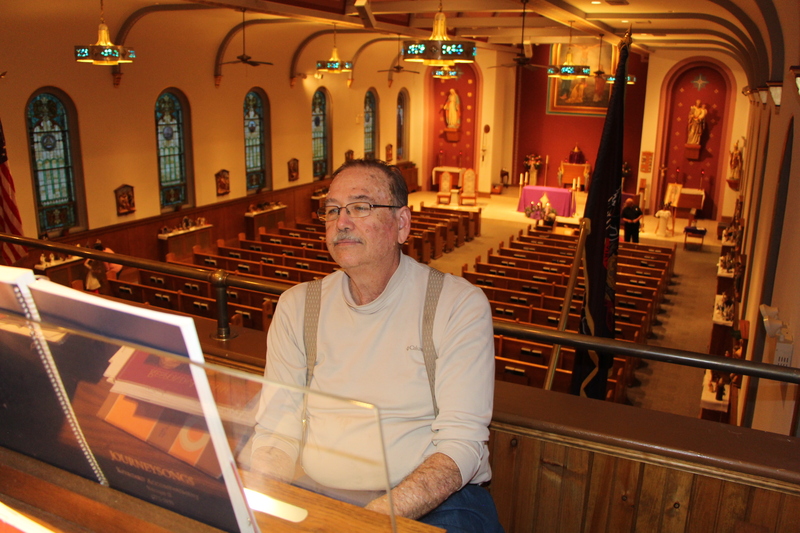 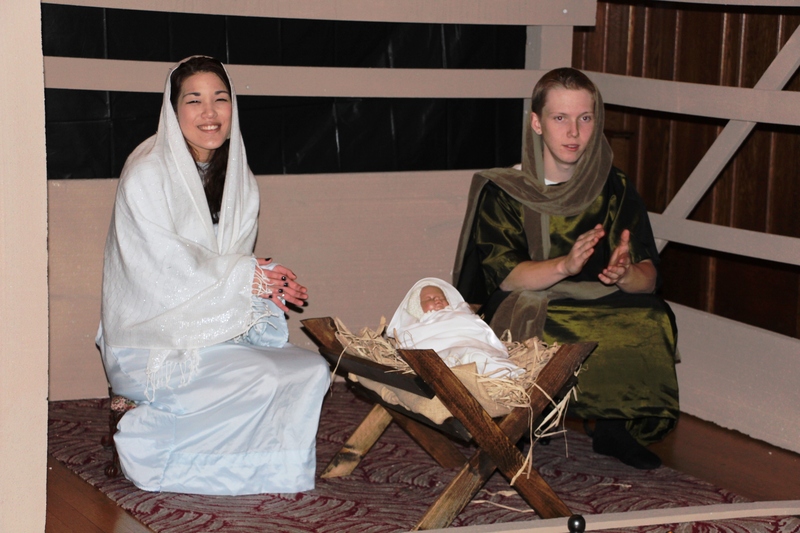 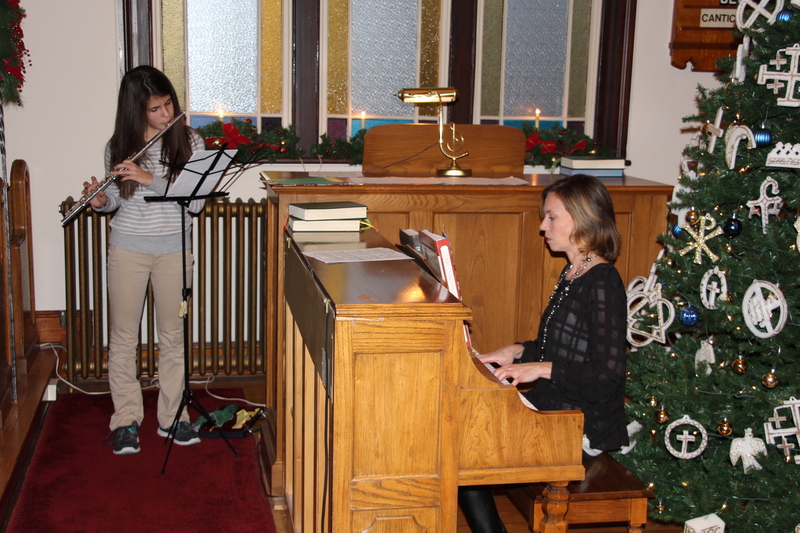 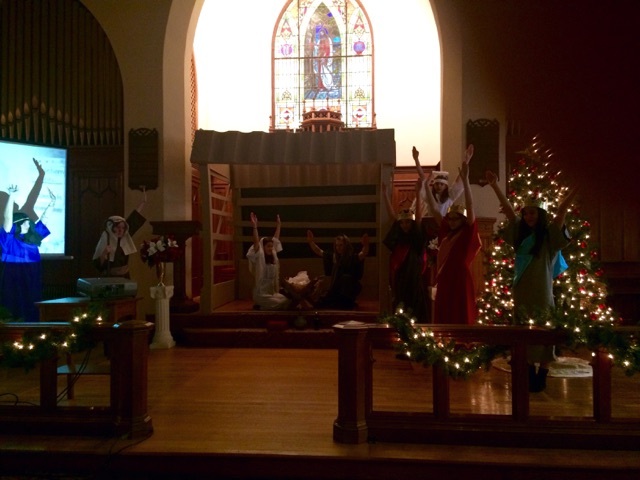 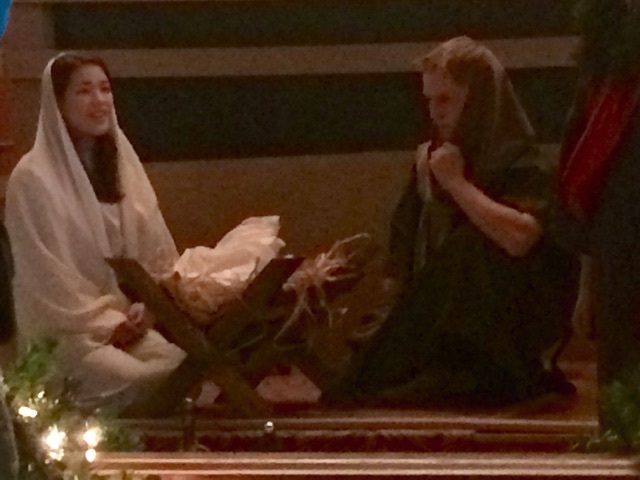 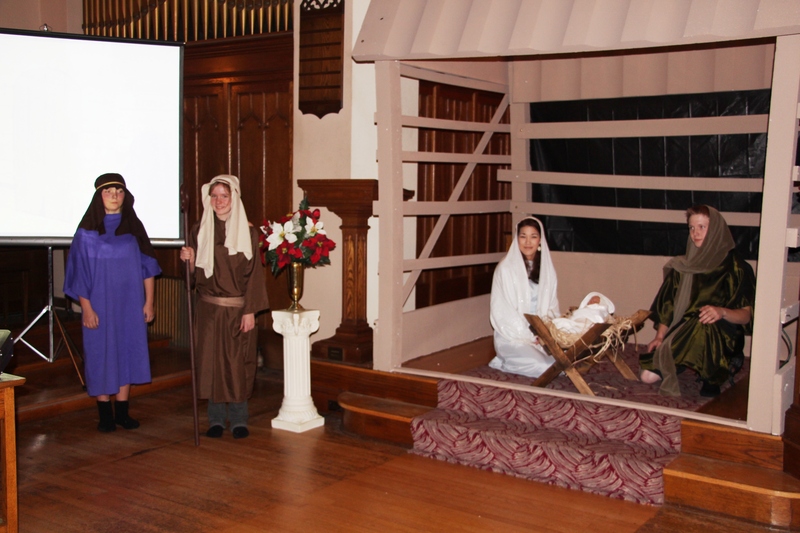 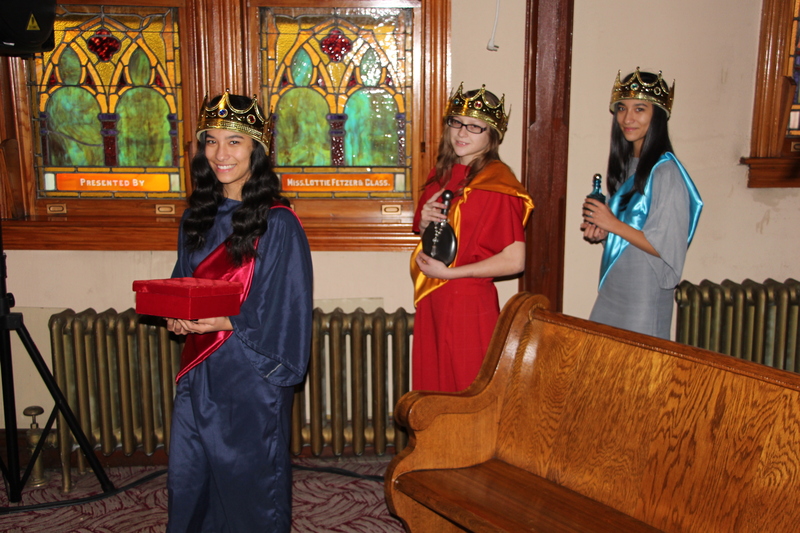 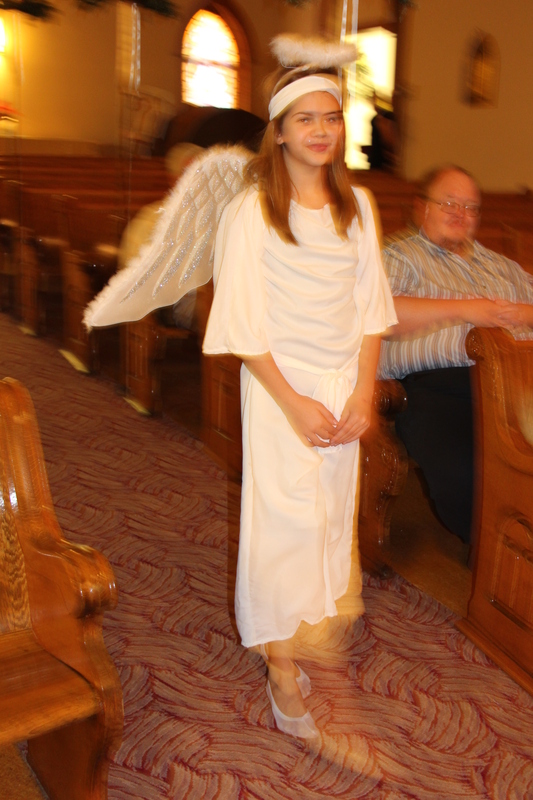 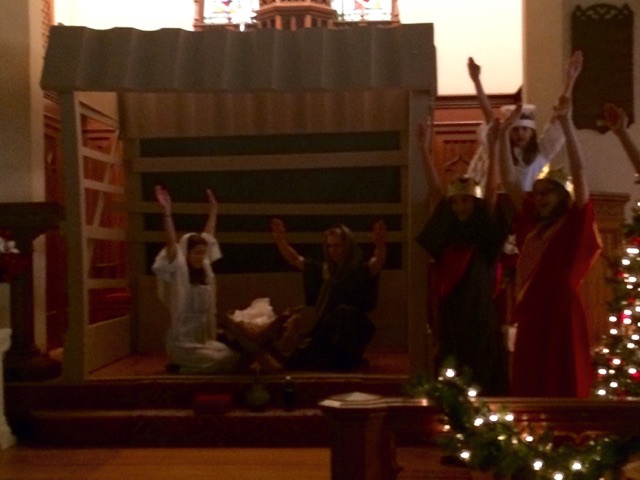 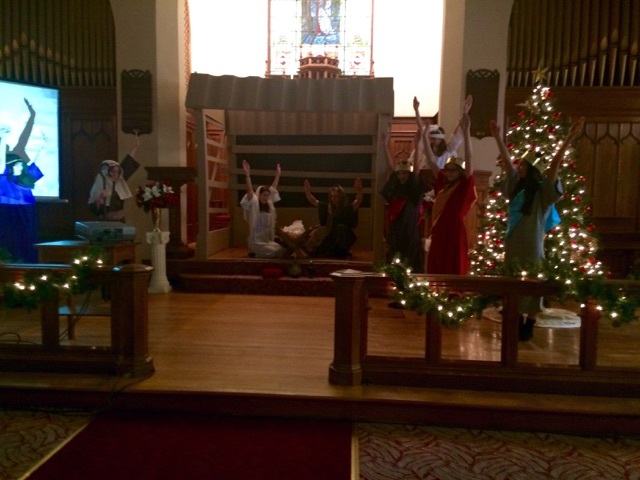 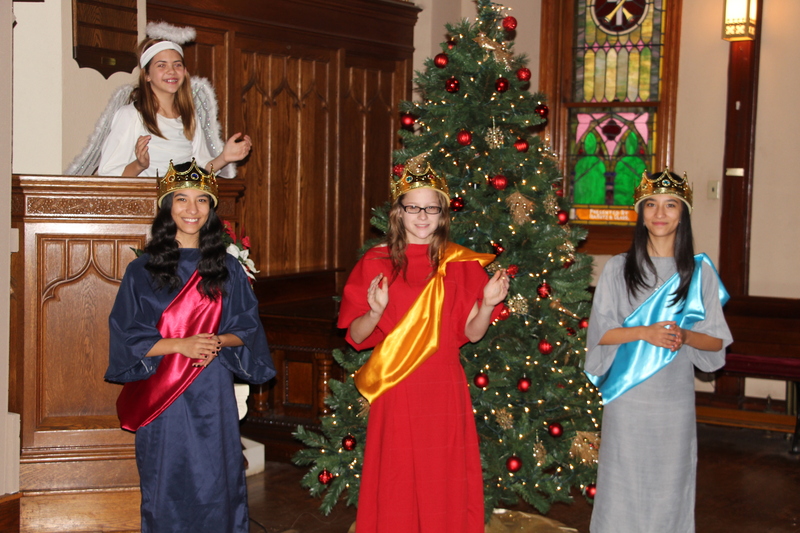 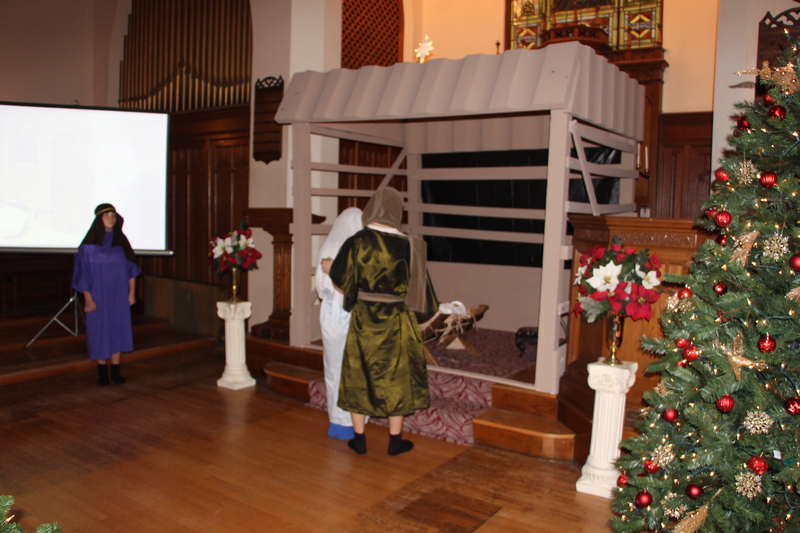 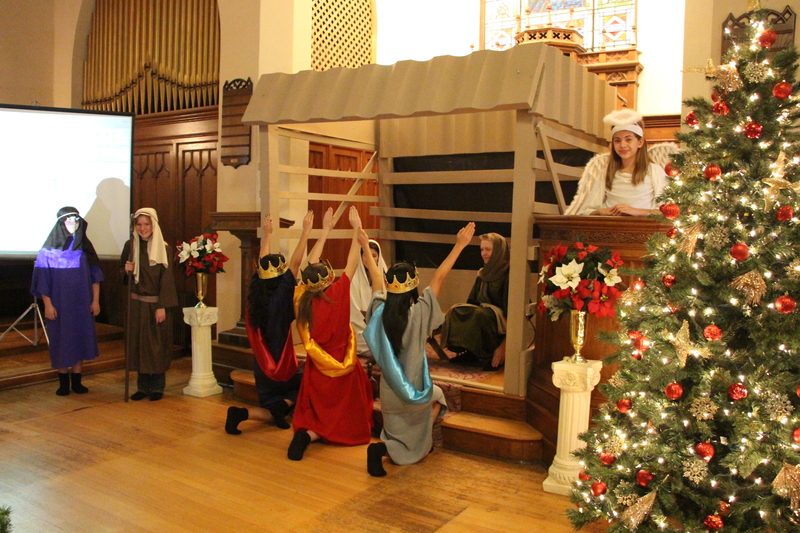 St. Paul’s Lutheran Church, 123 West White Street, entertained visitors with Chrismons, a Nativity scene, and live organ and flute music. 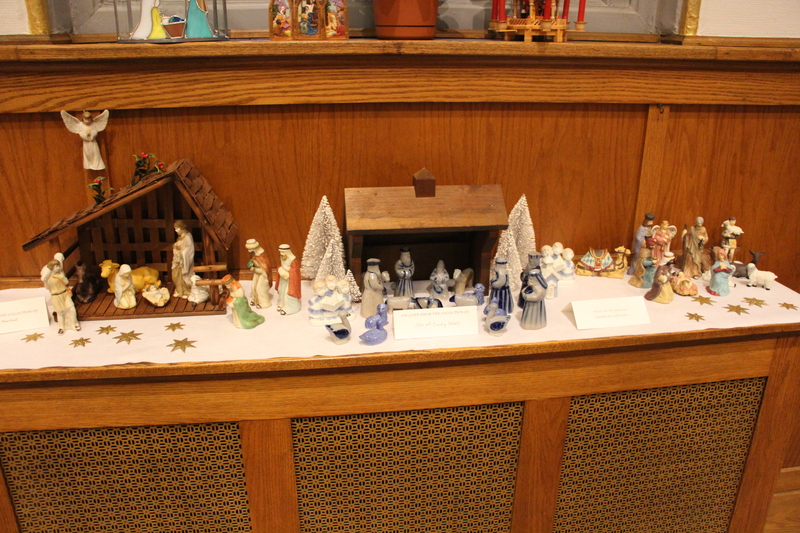 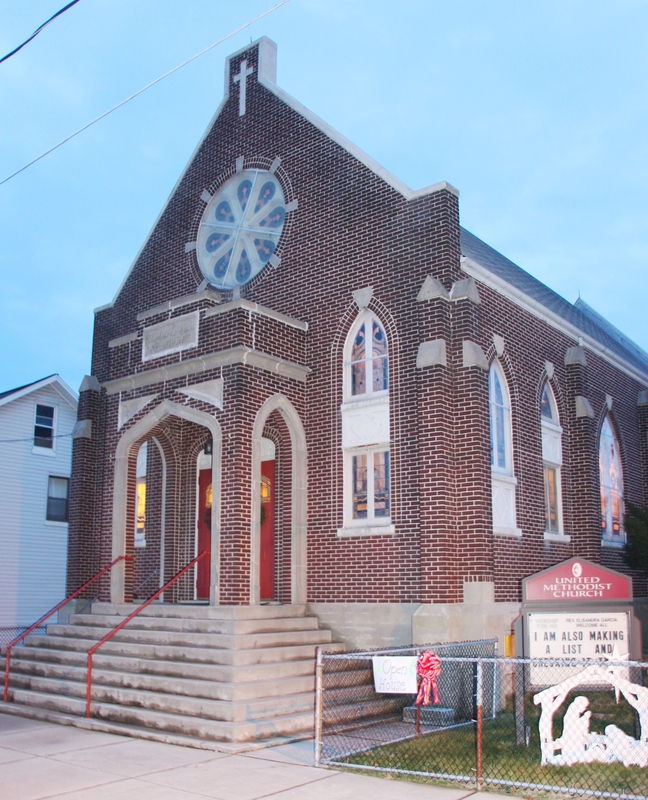 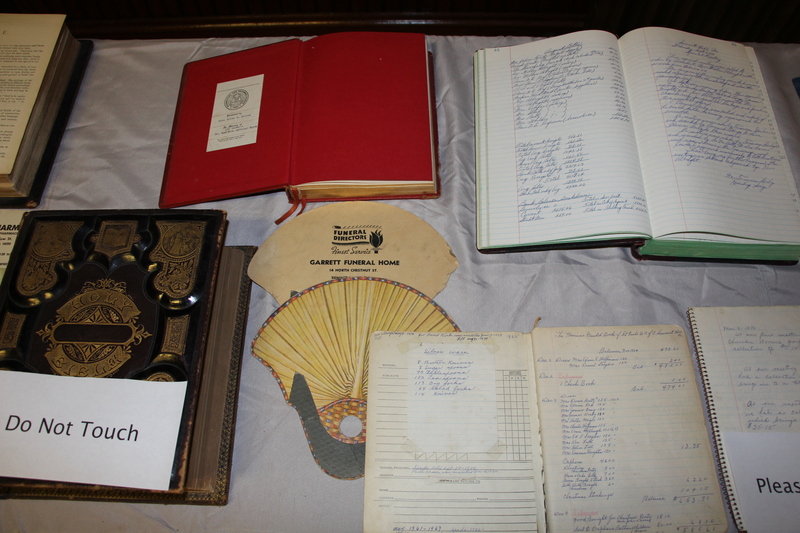 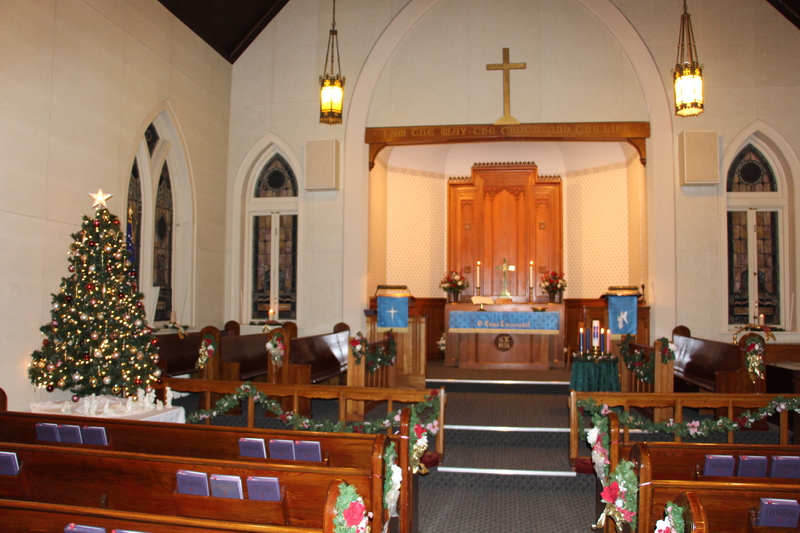 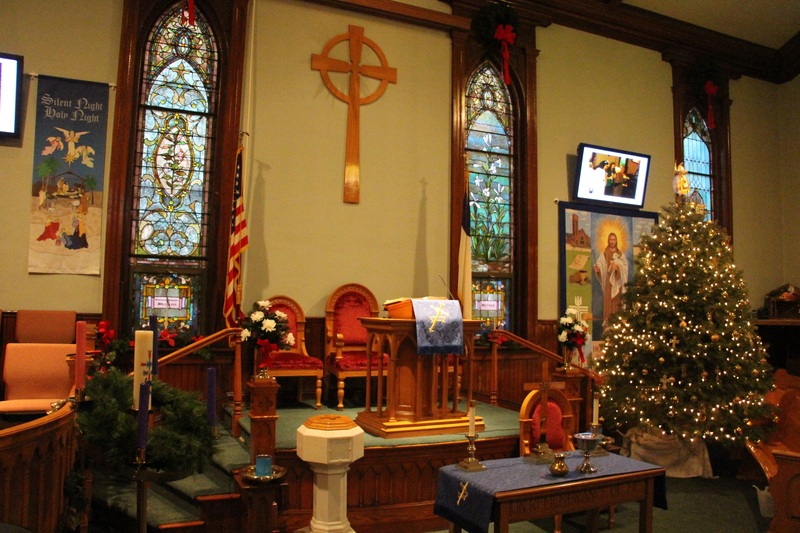 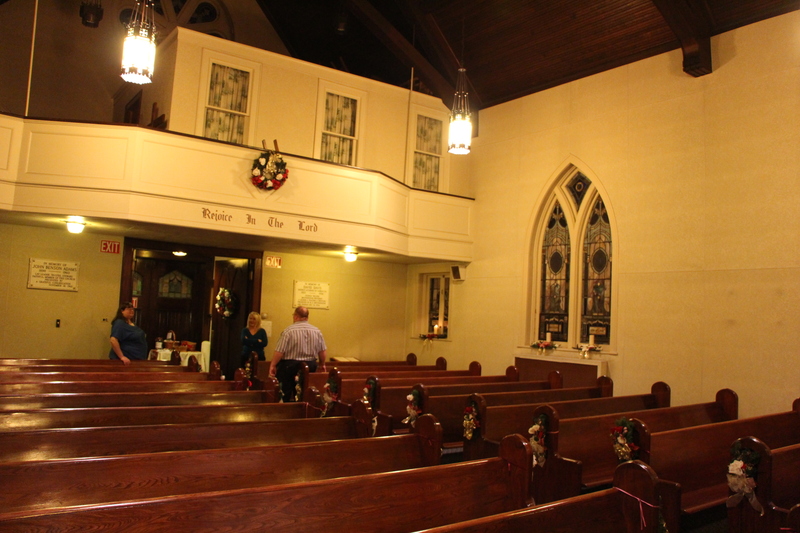 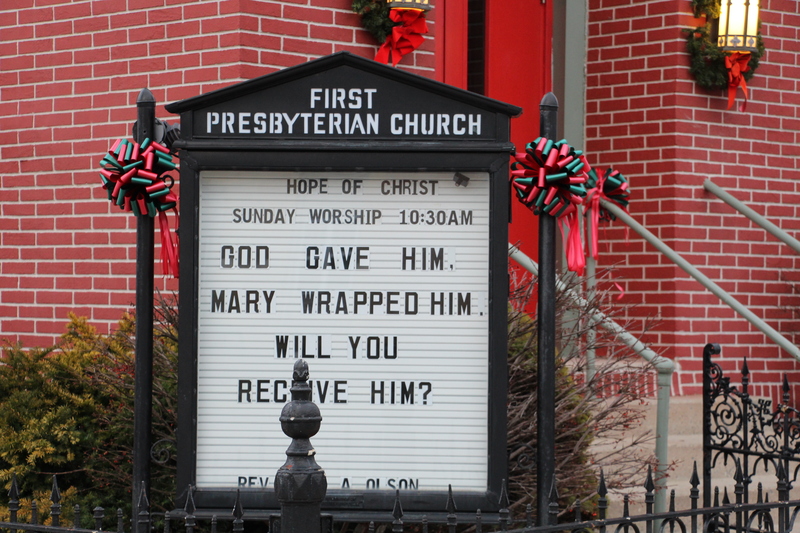 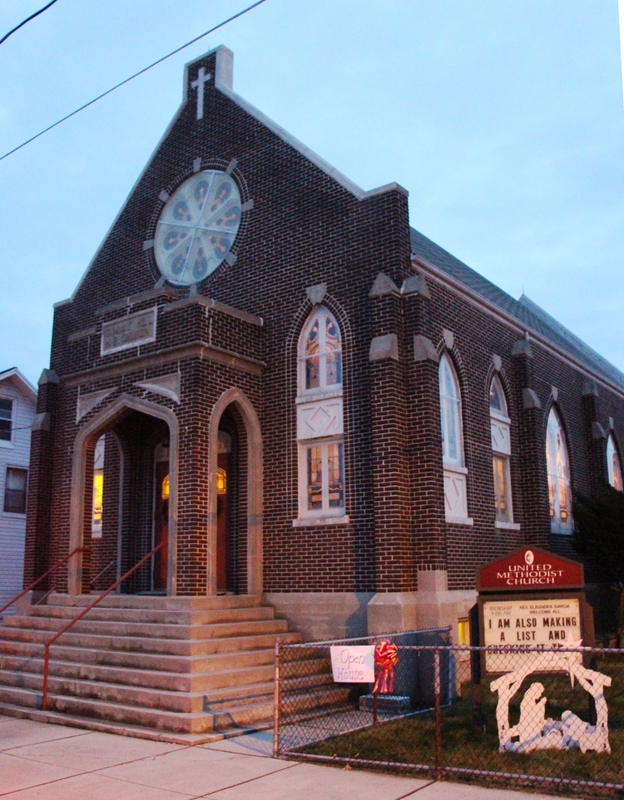 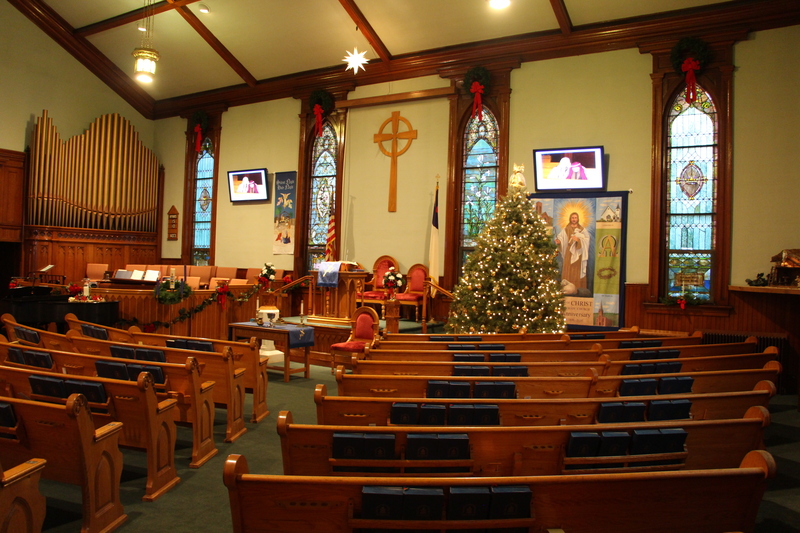 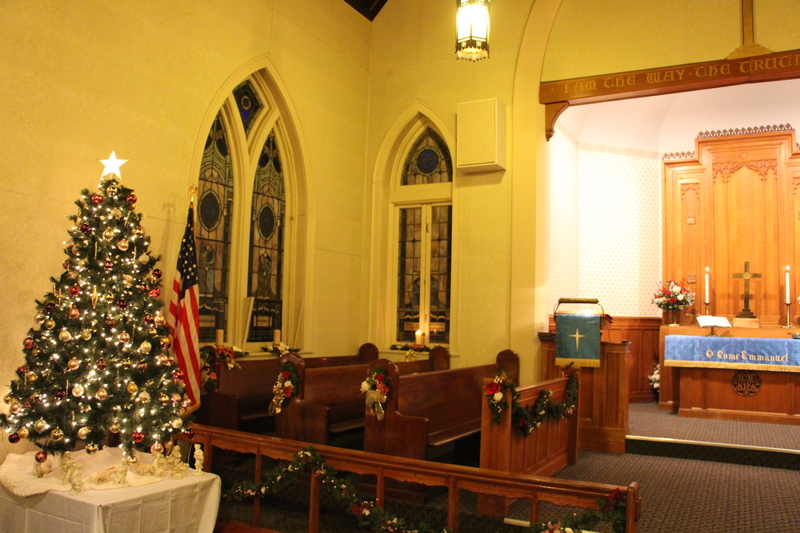 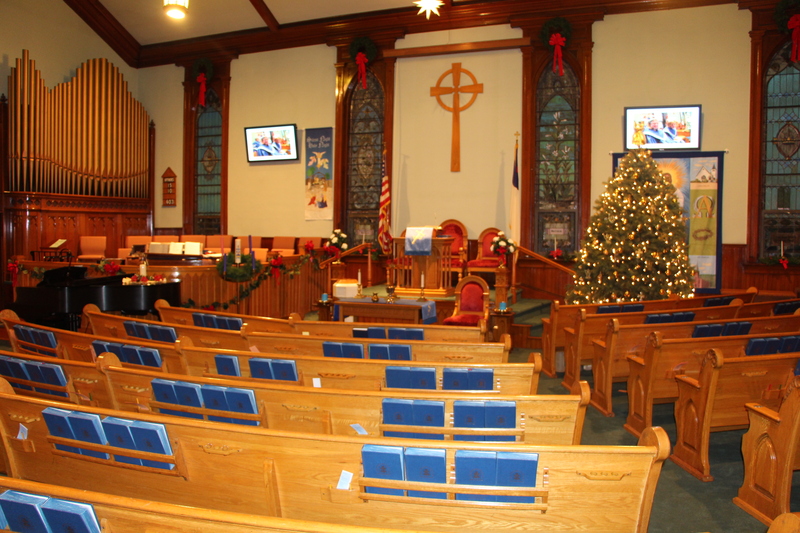 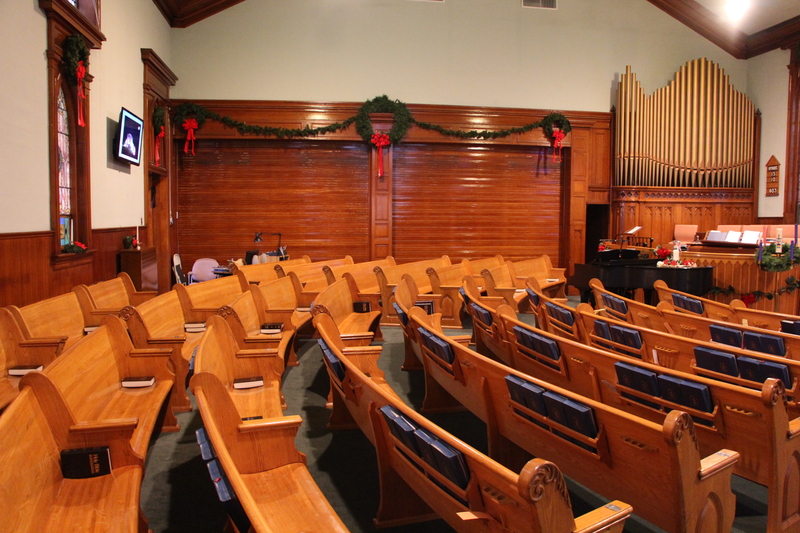 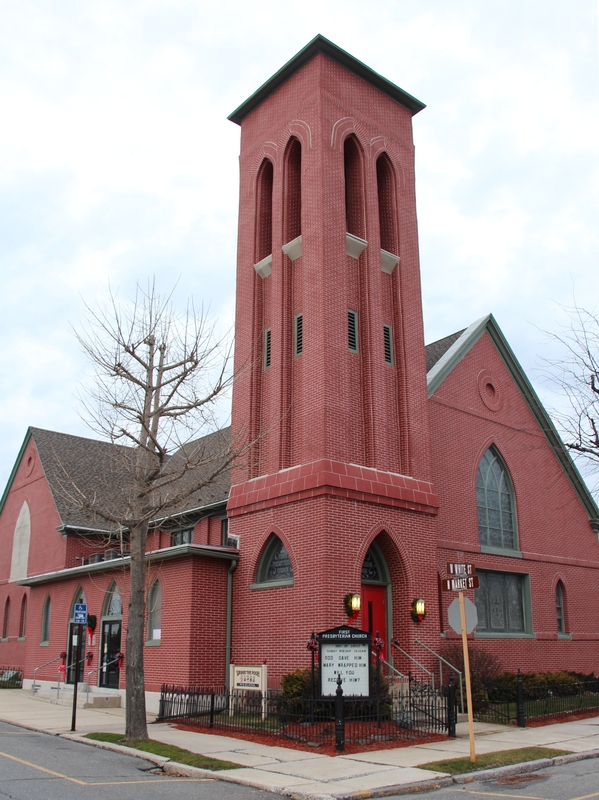 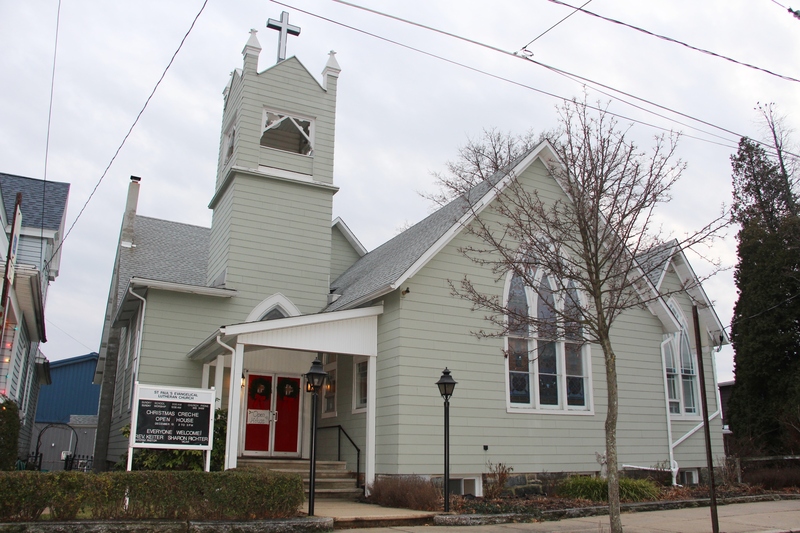 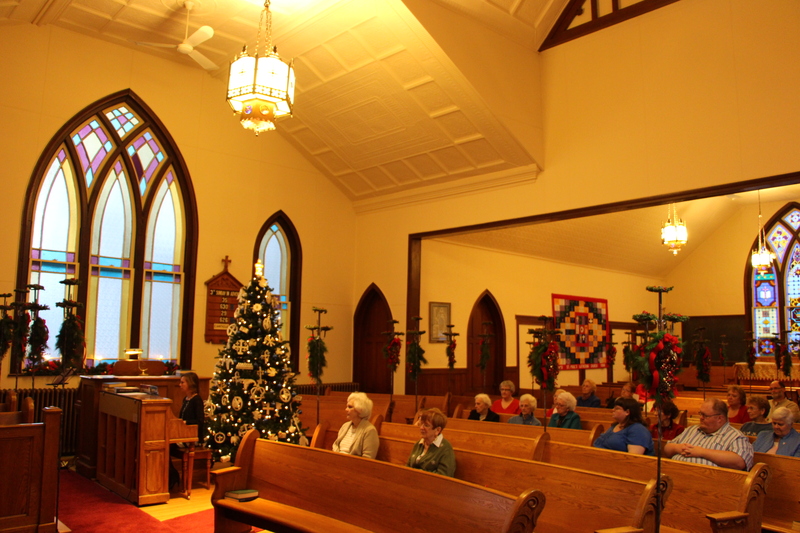 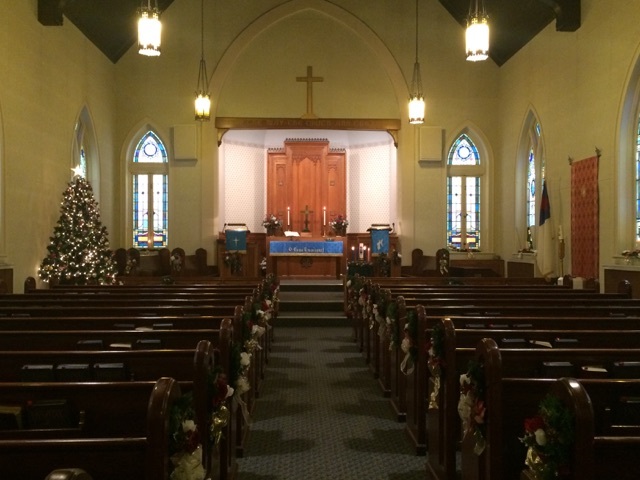 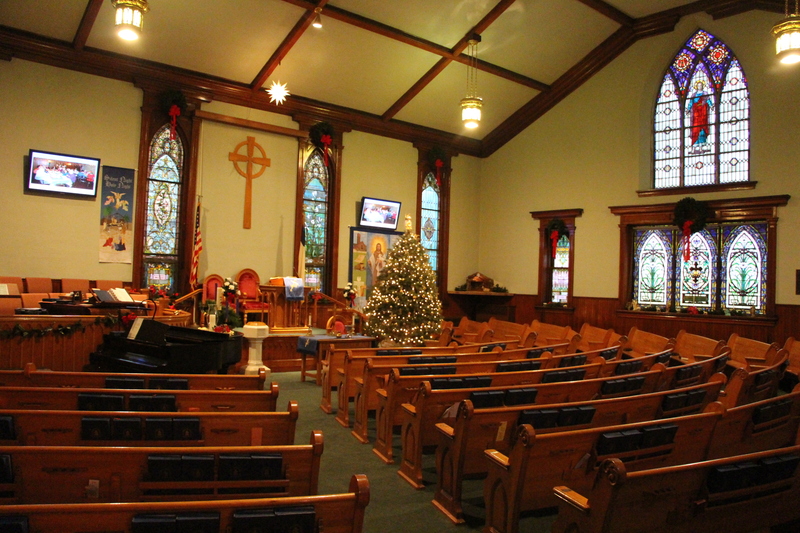 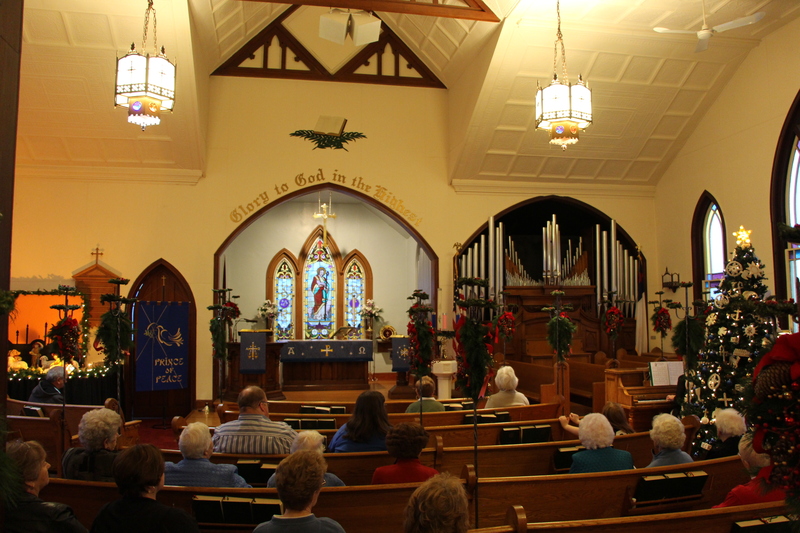 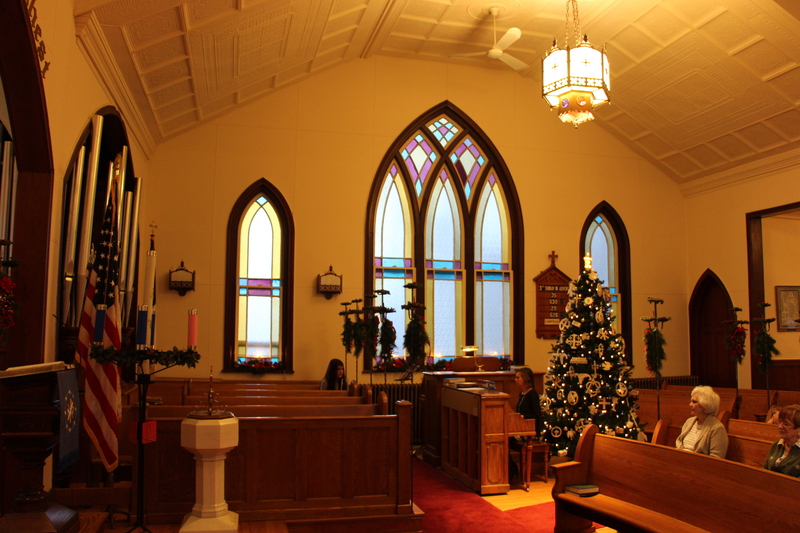 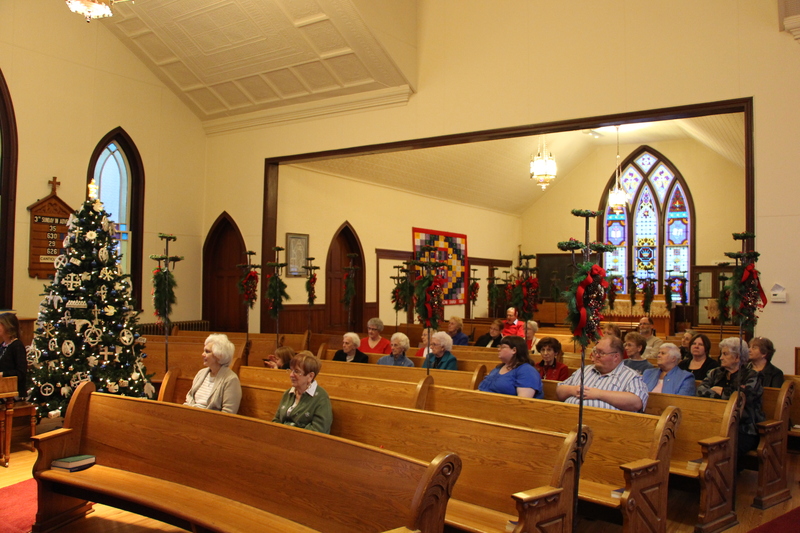 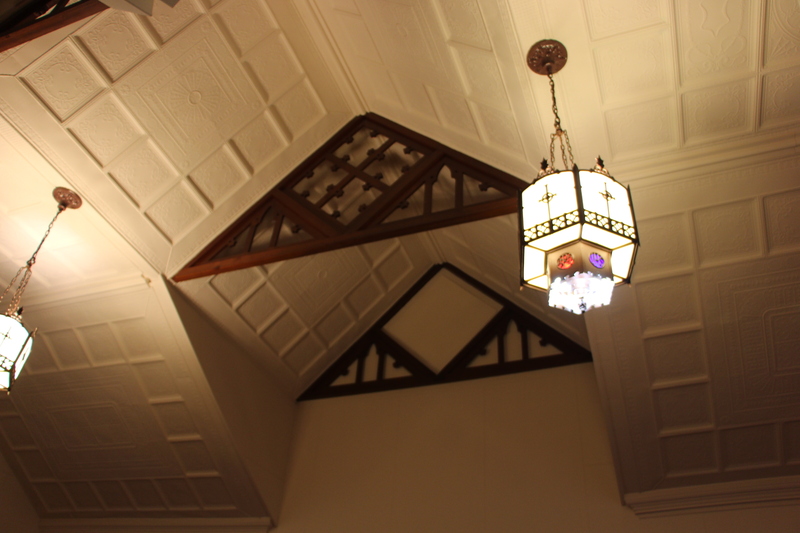 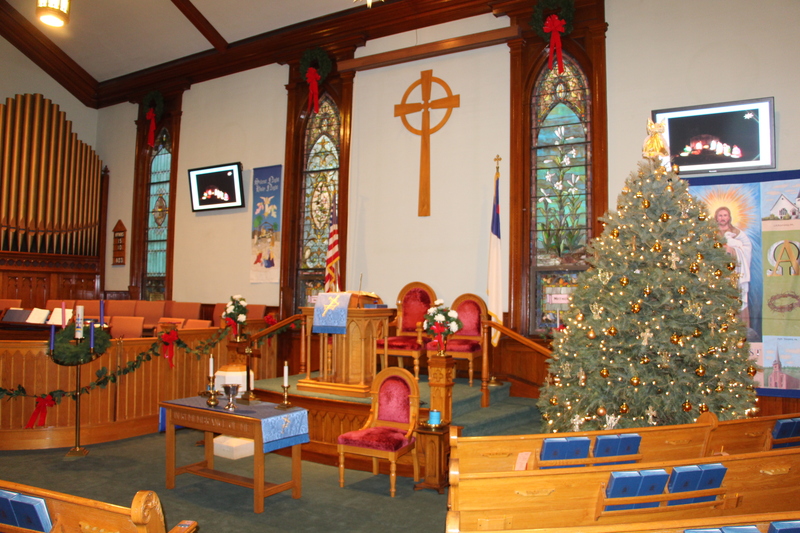 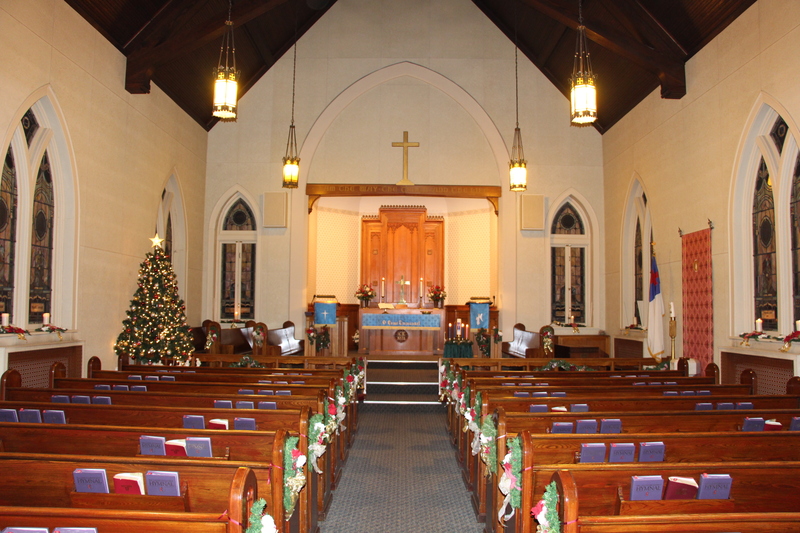 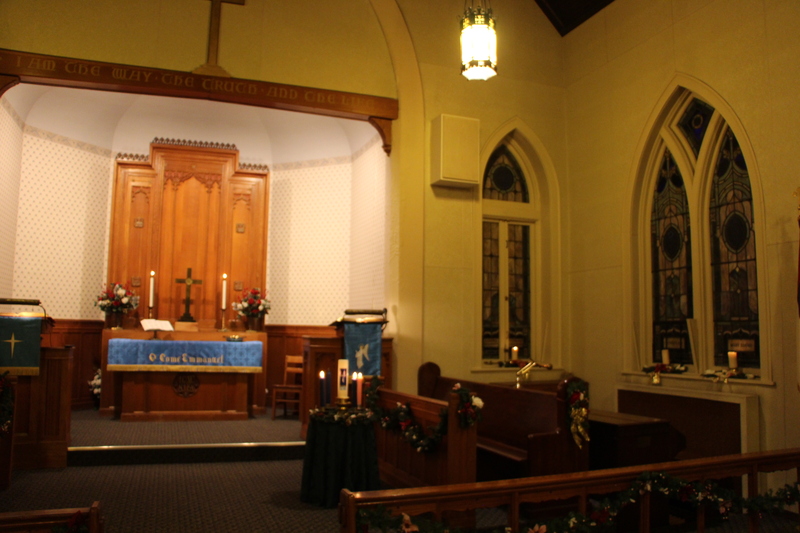 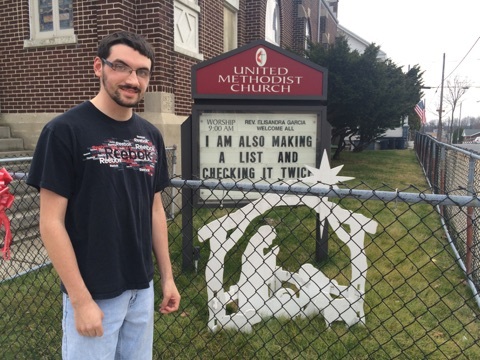 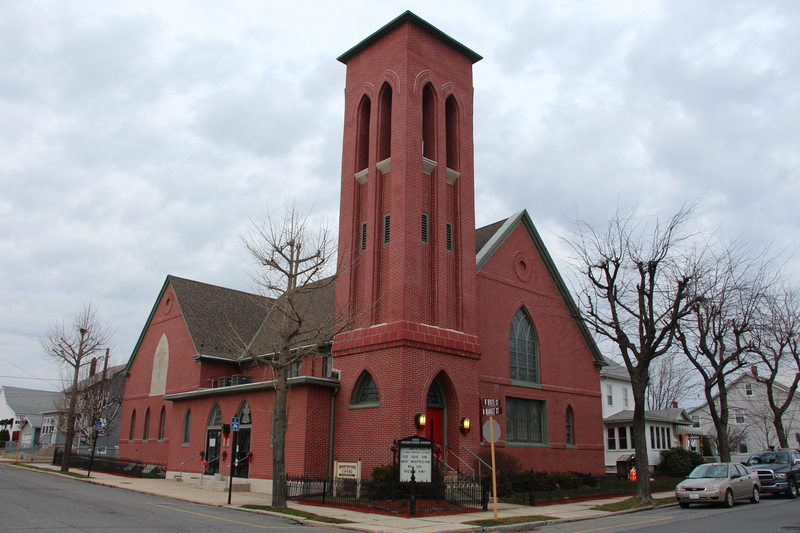 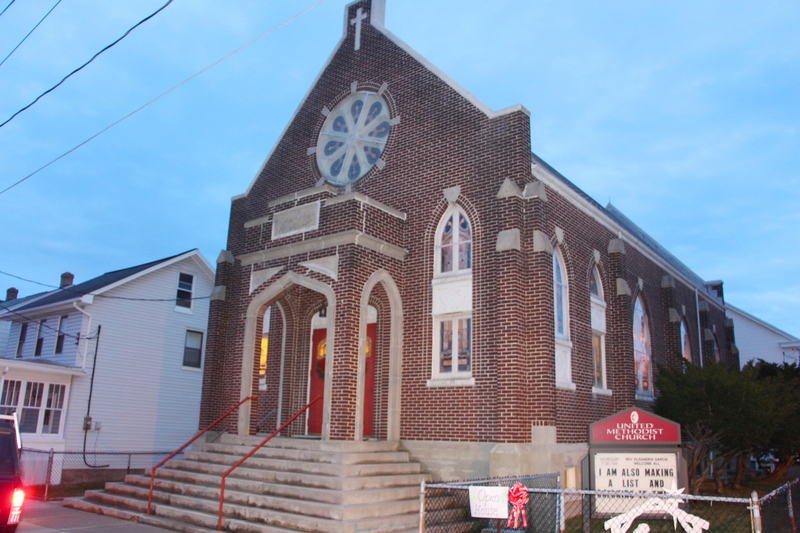 Methodist Church, 101 East White Street, displayed traditional Christmas Décor and presented handmade crafts to all the visitors. 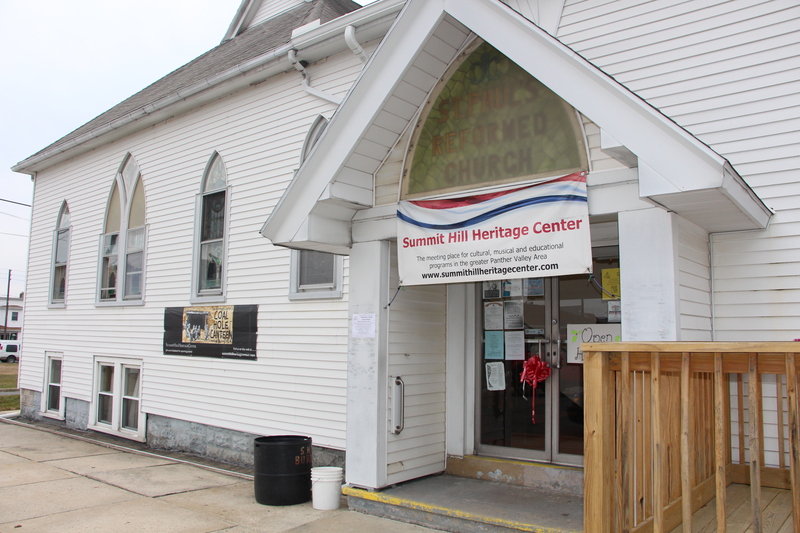 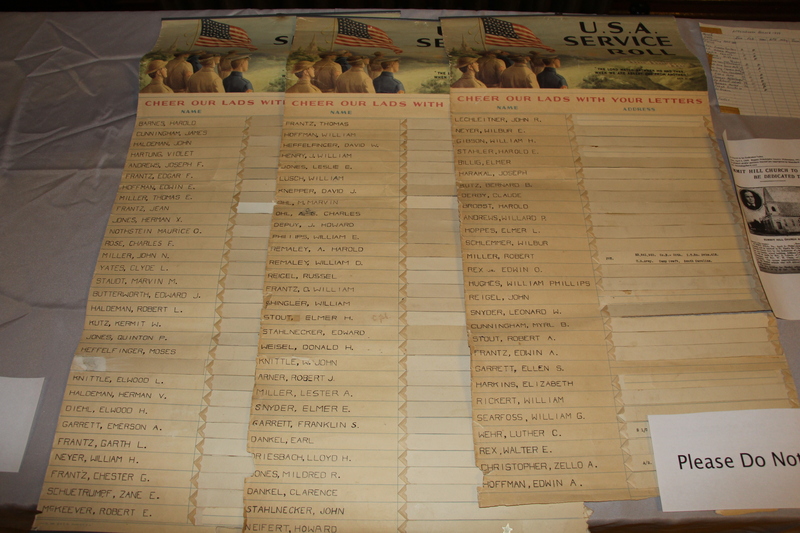 Visitors were also encouraged to stop by the Summit Hill Museum, 1246 East Ludlow Street, for refreshments and social time. 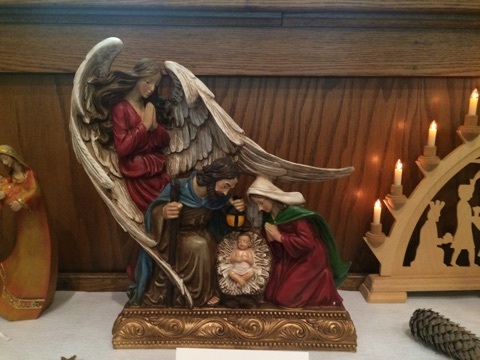 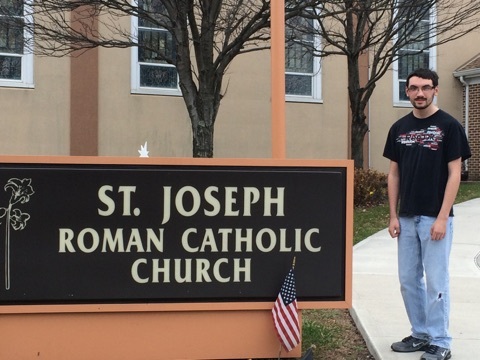 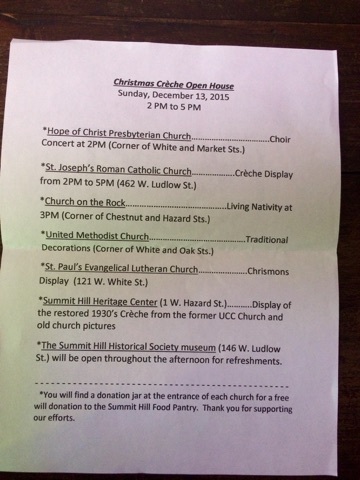 Dave Wargo, Summit Hill Heritage Center, said on Facebook, “A big word of thanks to our Summit Hill churches for the wonderful open houses and also to all of our wonderful neighbors who displayed their crèches at St. Josephs today. 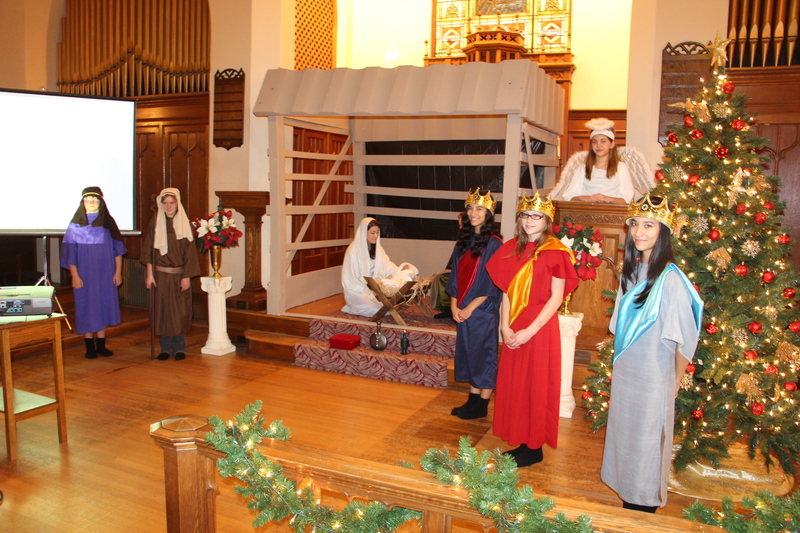 Also special thanks to the Hope Presbyterian Church choir for their moving concert, the kids from Church on the Rock for their living nativity, the Methodist Church for their beautiful decorations, the Heritage Center for their memorabilia display and Jen and Abby Vermillion for their wonderful concert at St. Paul’s Lutheran Church. 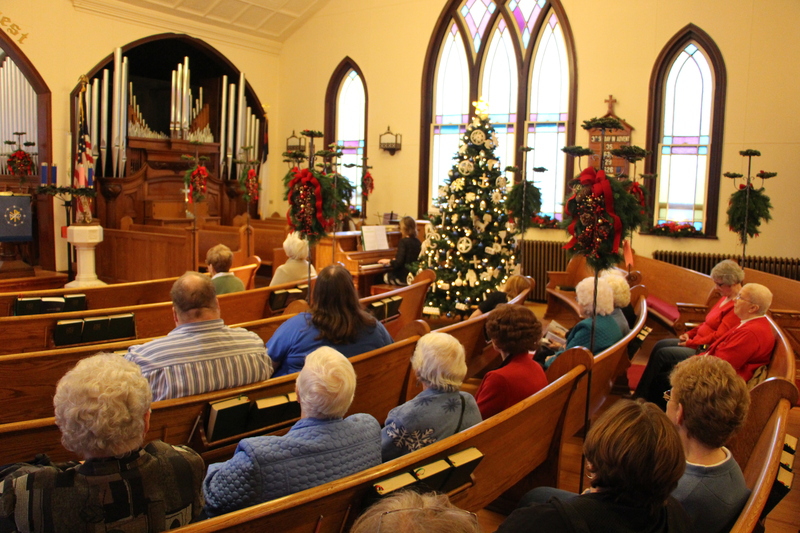 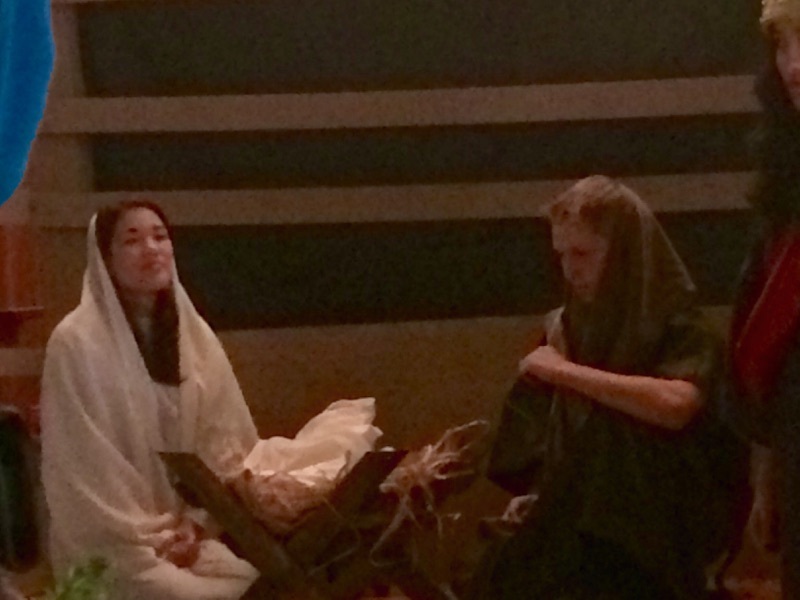 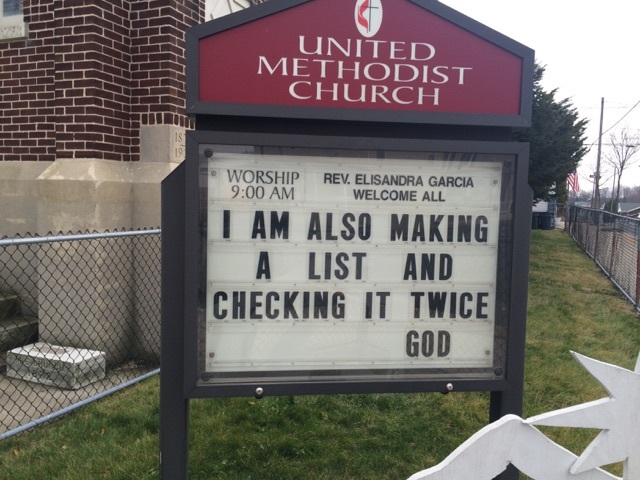 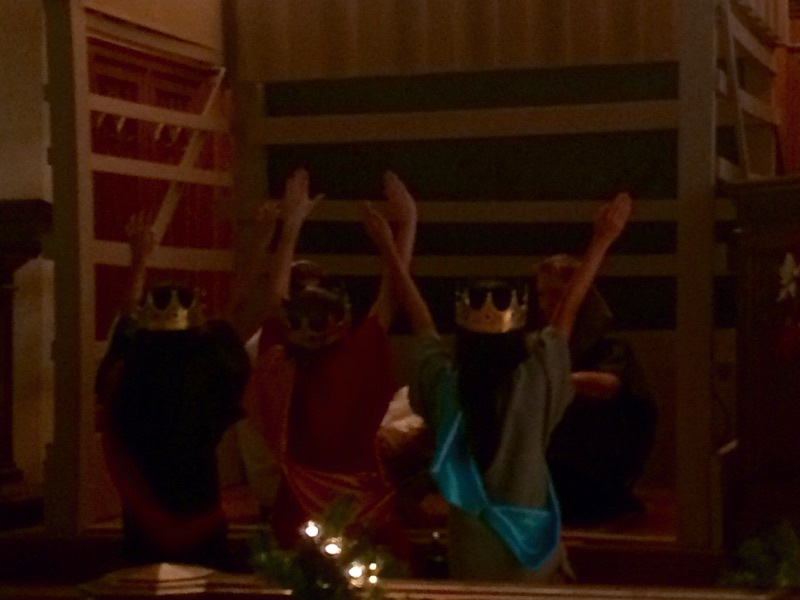 If you missed it… It was a moving afternoon and perfect to remember why we celebrate Christmas. 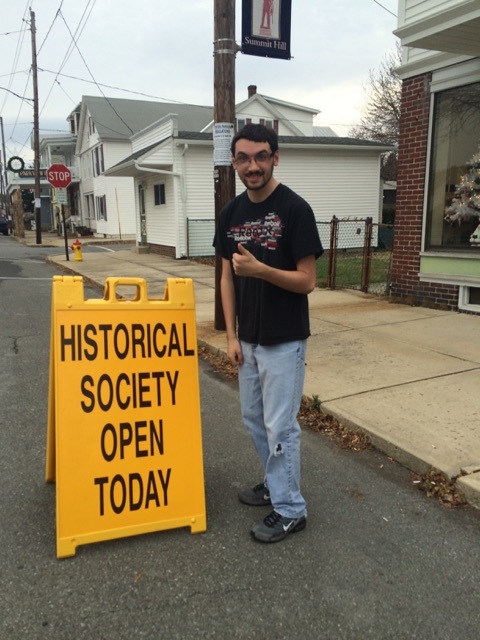 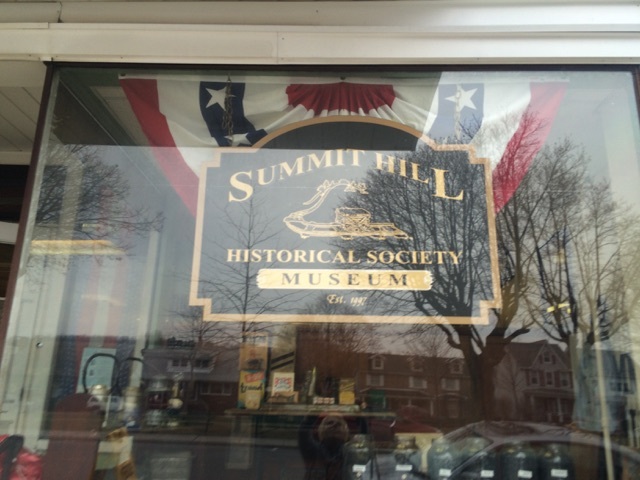 And last but not least, a big thank you to the Summit Hill Historical Society for organizing the day and providing refreshments. 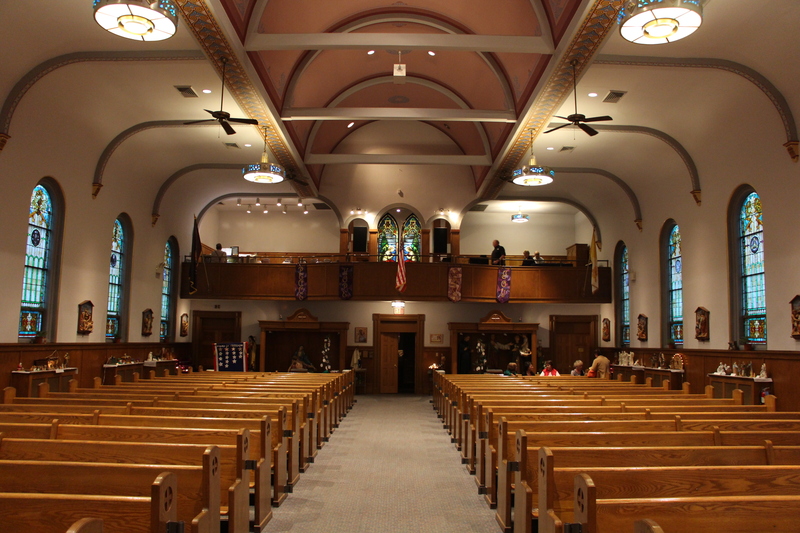 PAGE DOWN FURTHER TO VIEW ALL TAMAQUAAREA.COM VIDEOS AND PHOTOS FROM ALL 5 CHURCHES. 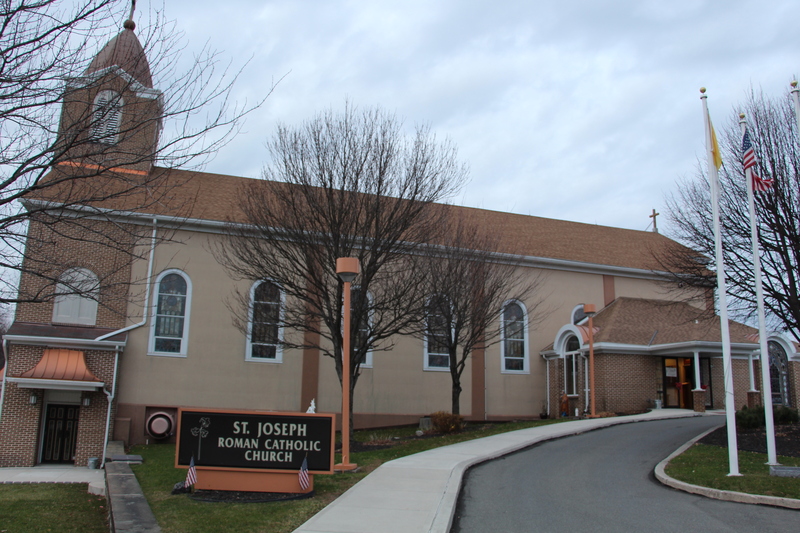 Previous POLL: How Far Do You Drive To Work Roundtrip?